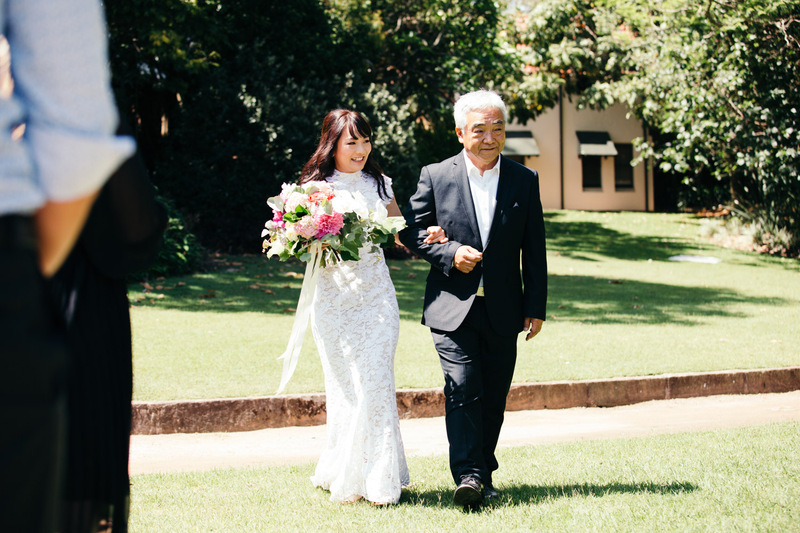 Most couples I work with are based in Sydney, or at least within New South Wales. 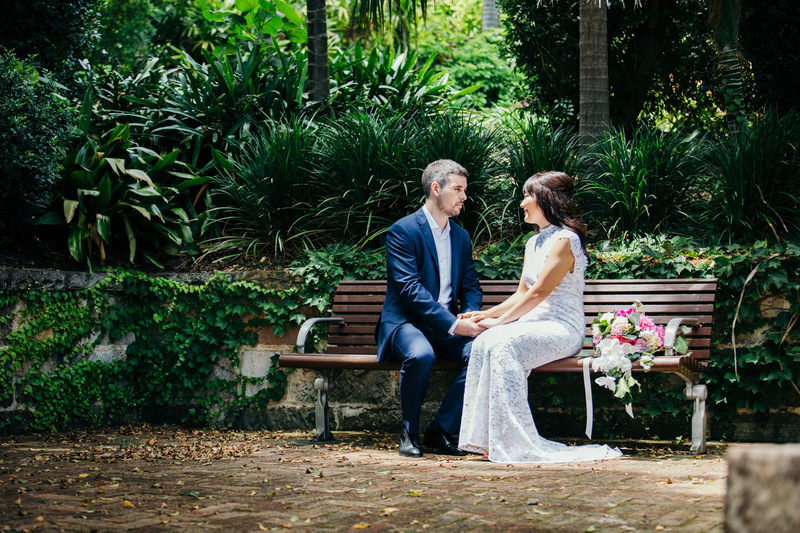 I occasionally work with couples from other states (Victoria, ACT, Queensland, etc). 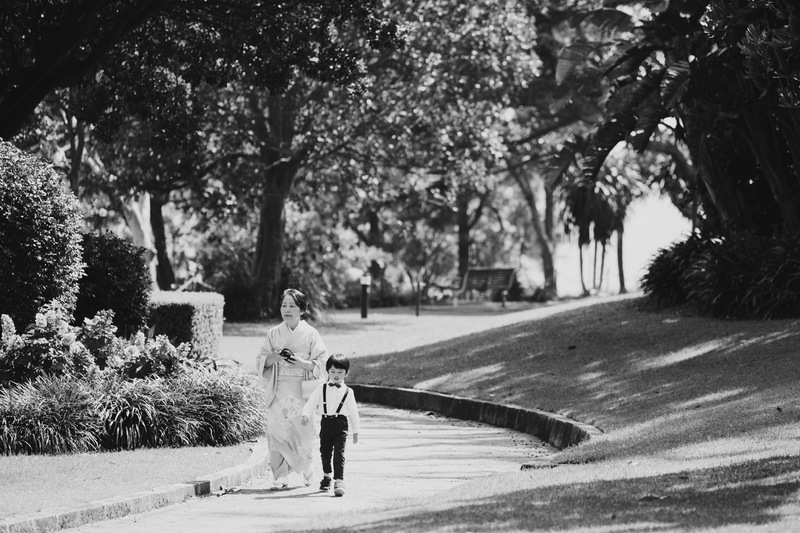 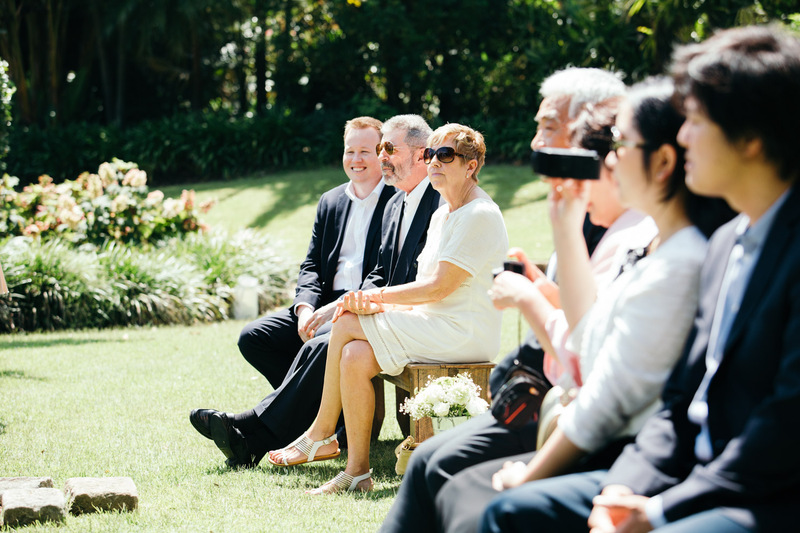 Sometimes, I have the opportunity to work with couples who live overseas and decide to marry (or elope) in Australia. 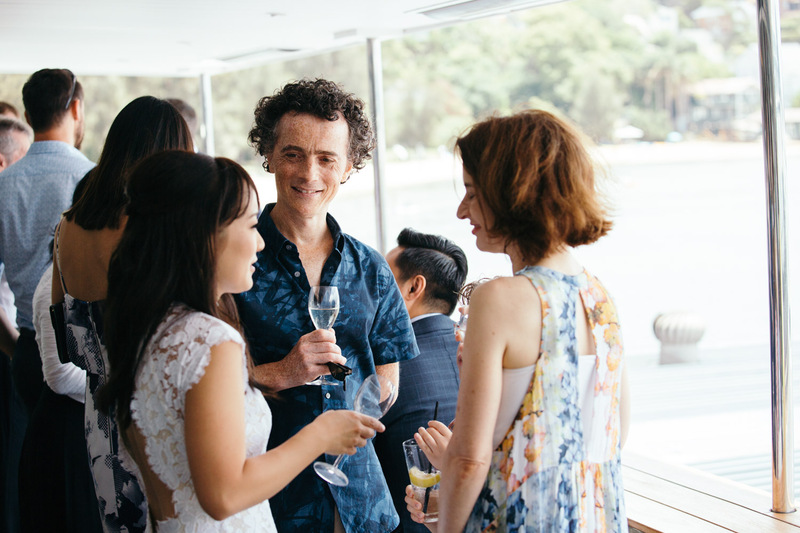 Lisa and Jean-Marc are both Australian born, however, they live in London. 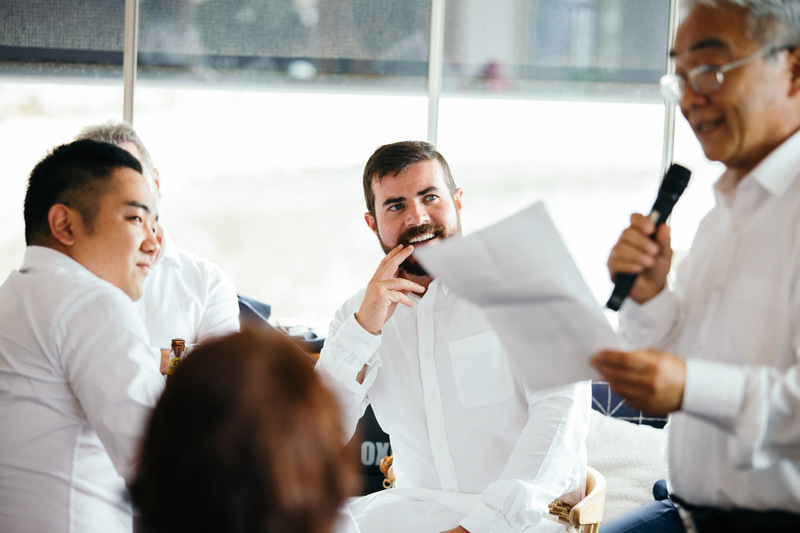 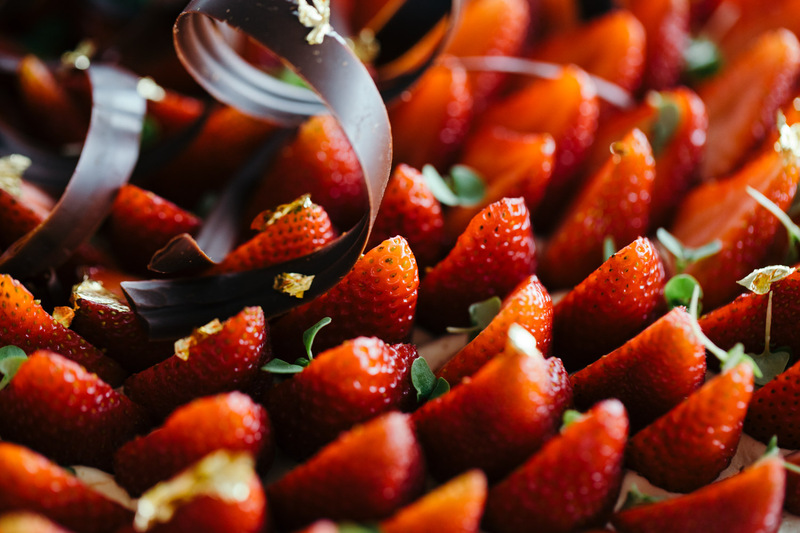 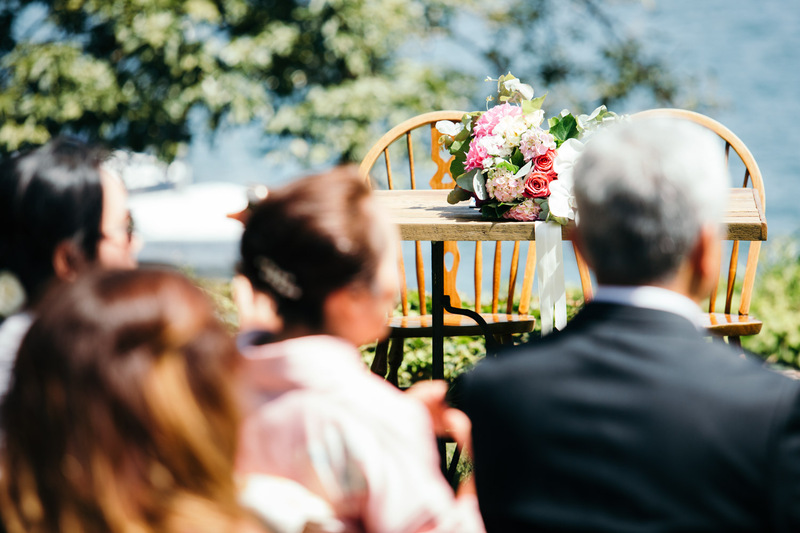 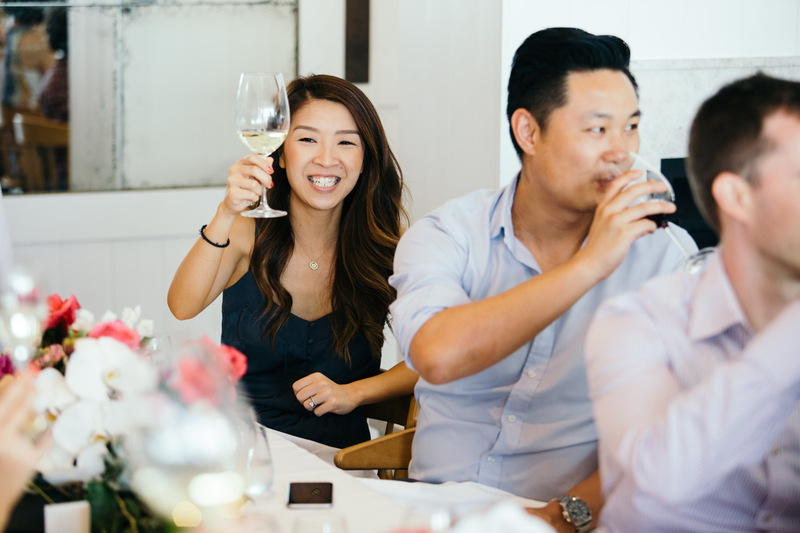 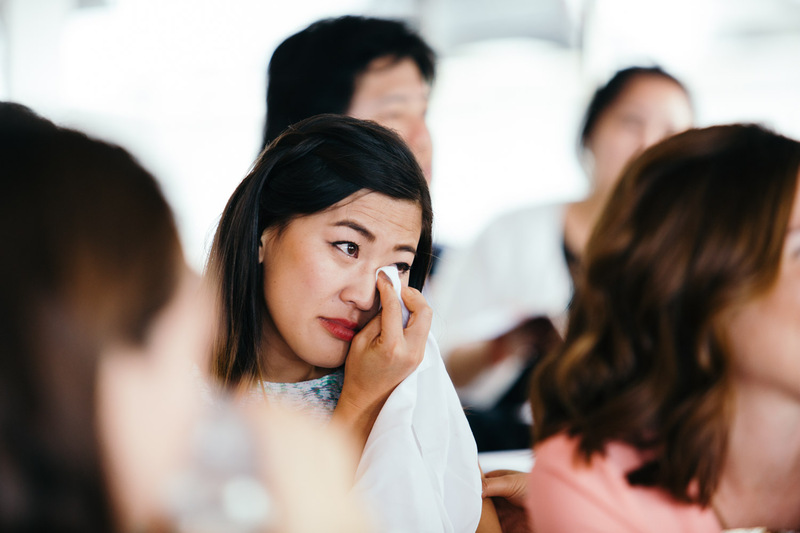 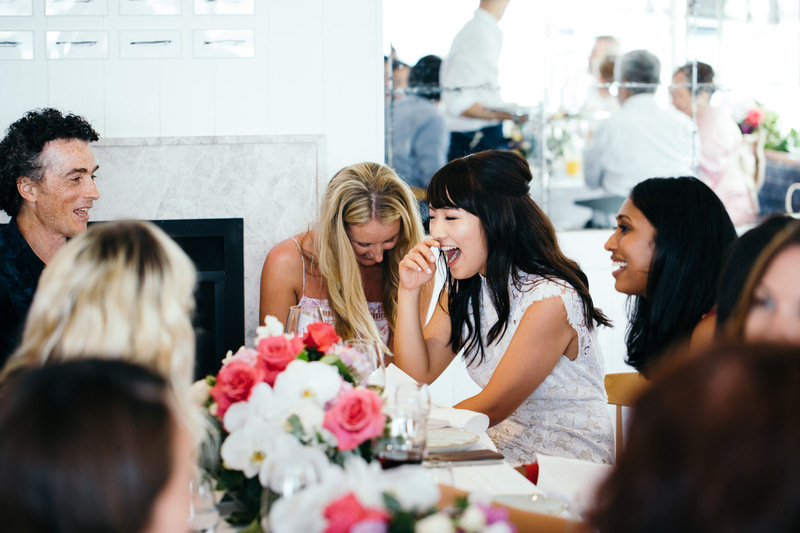 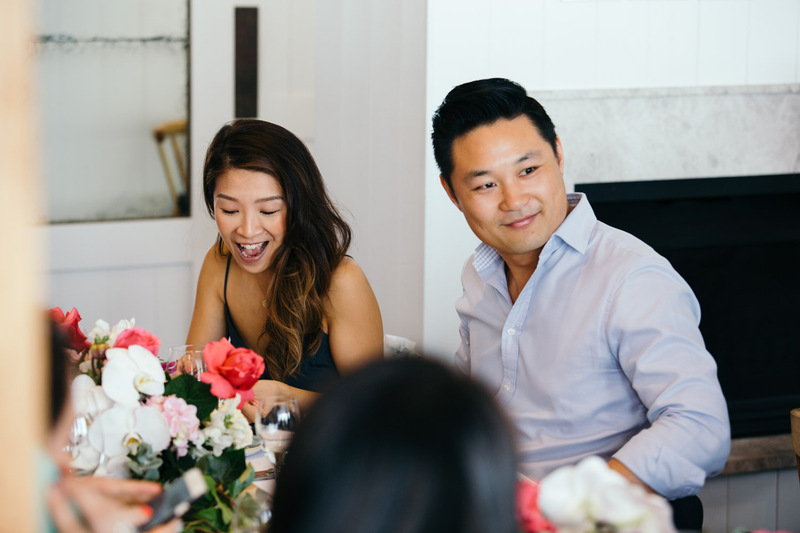 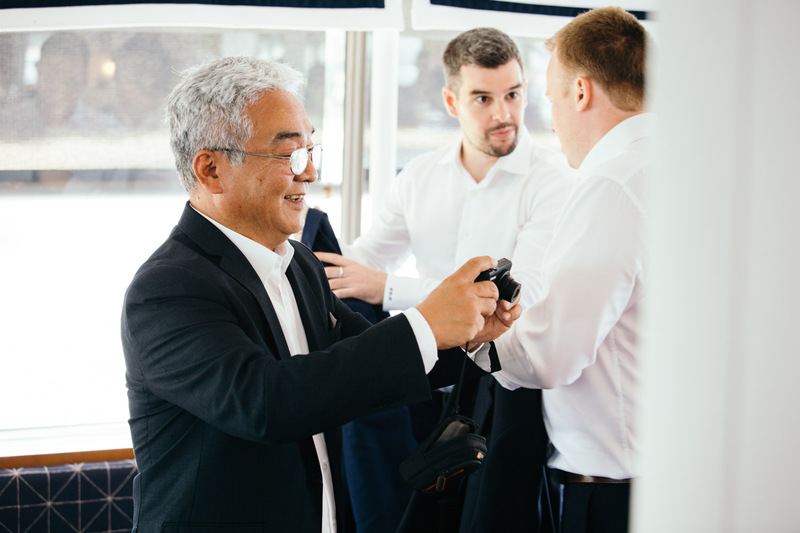 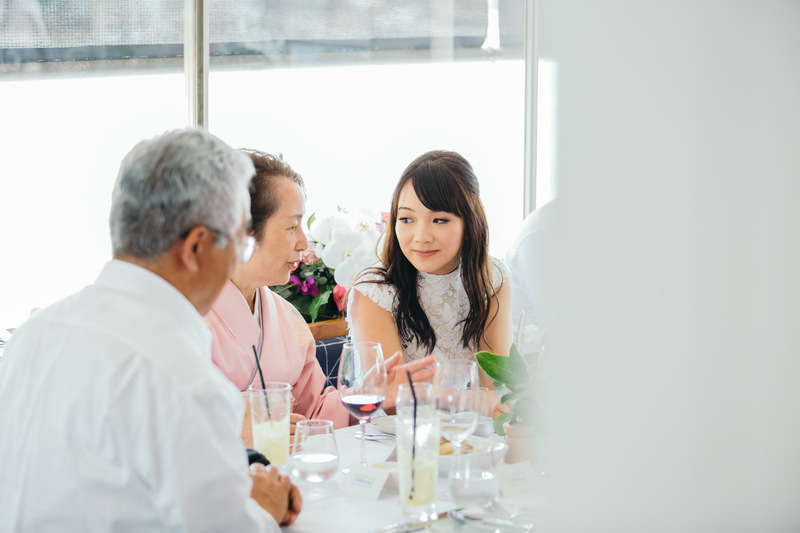 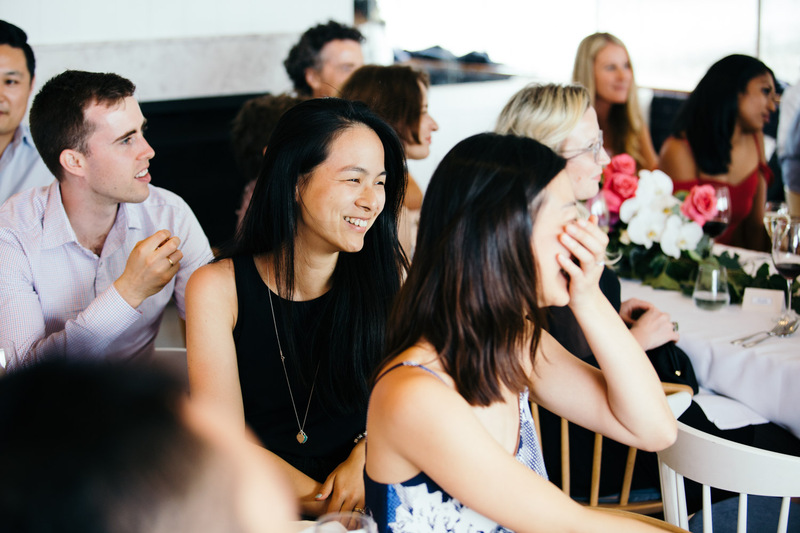 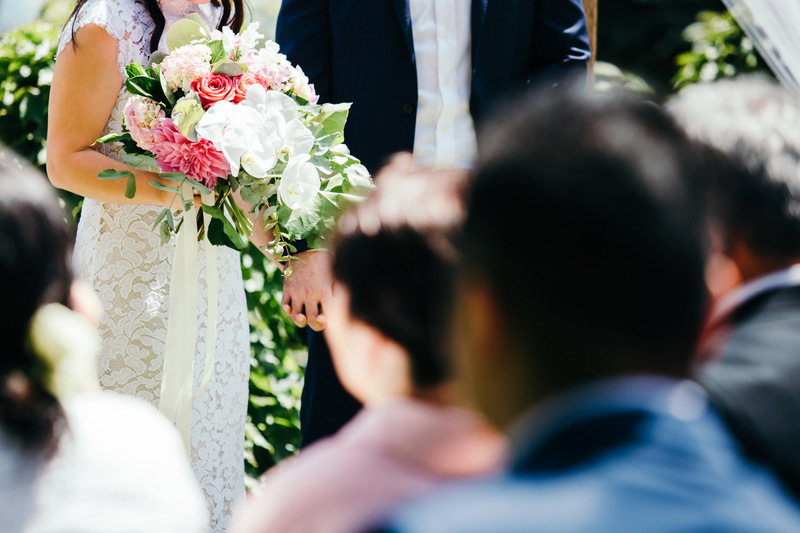 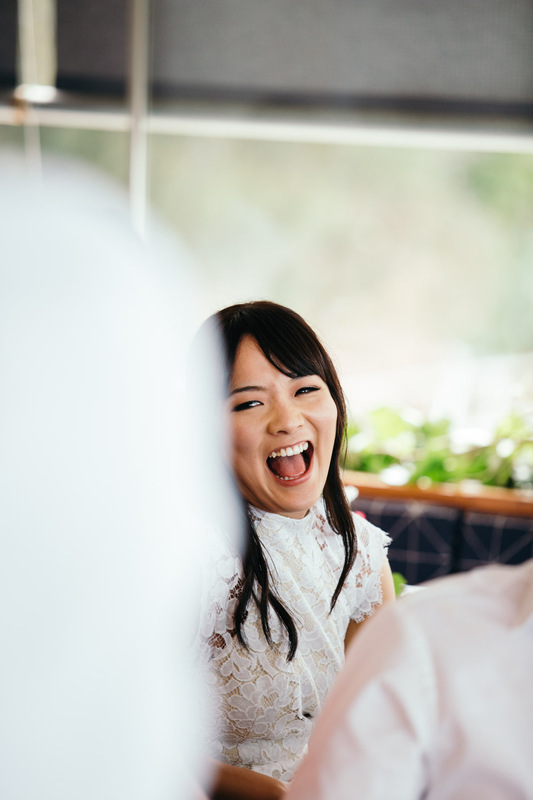 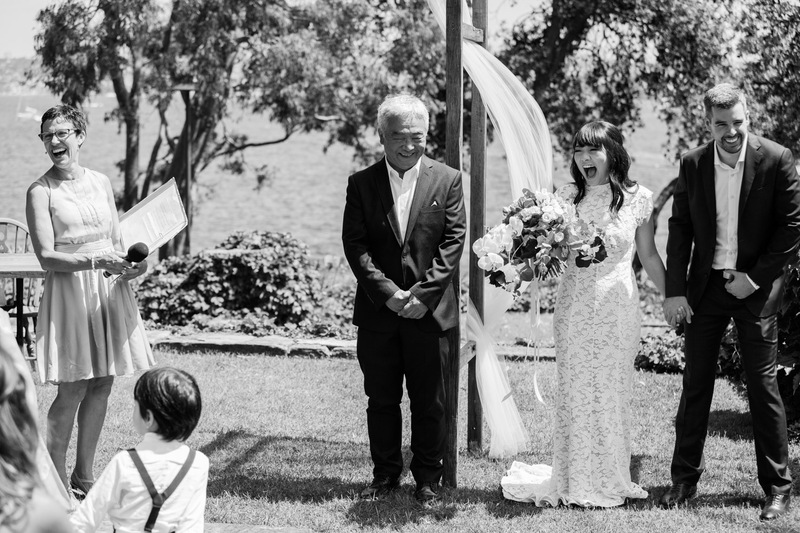 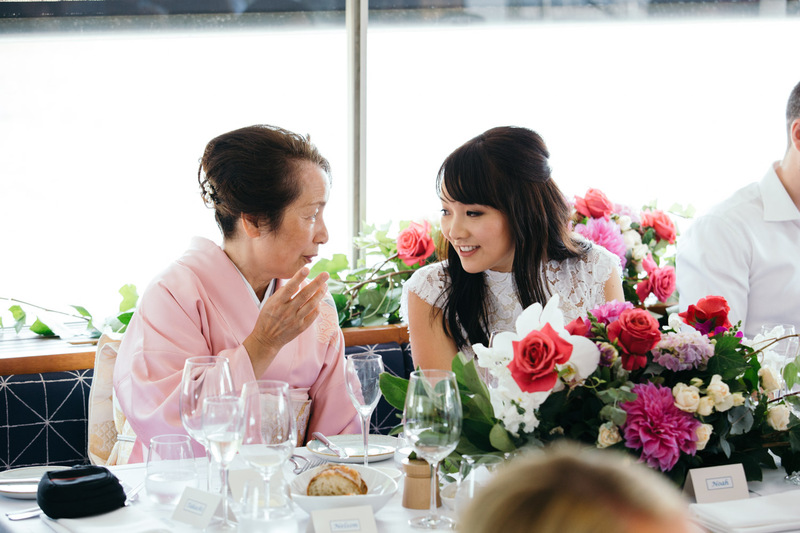 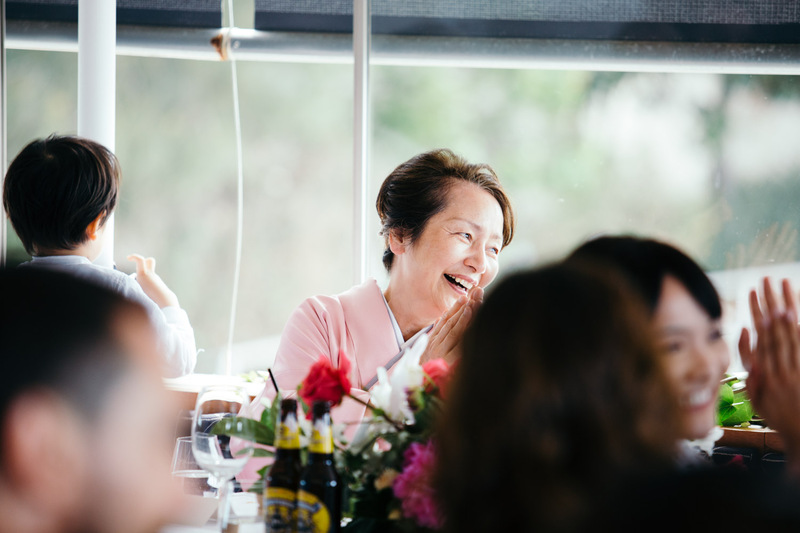 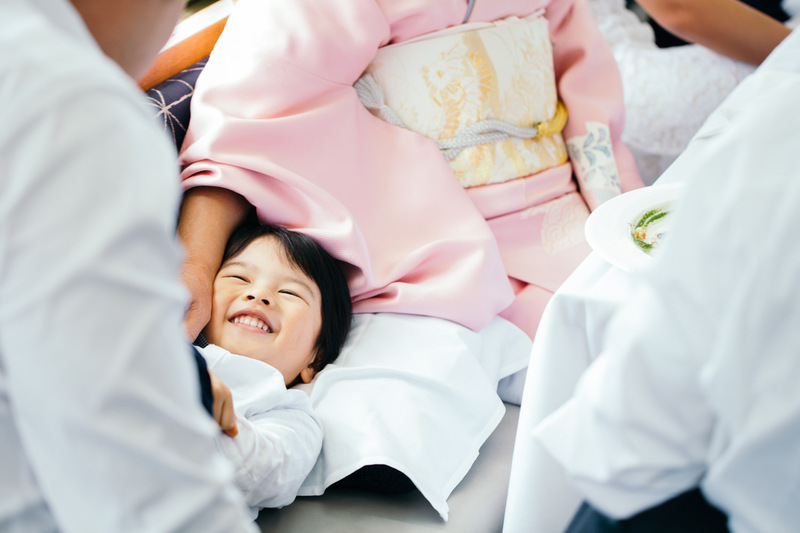 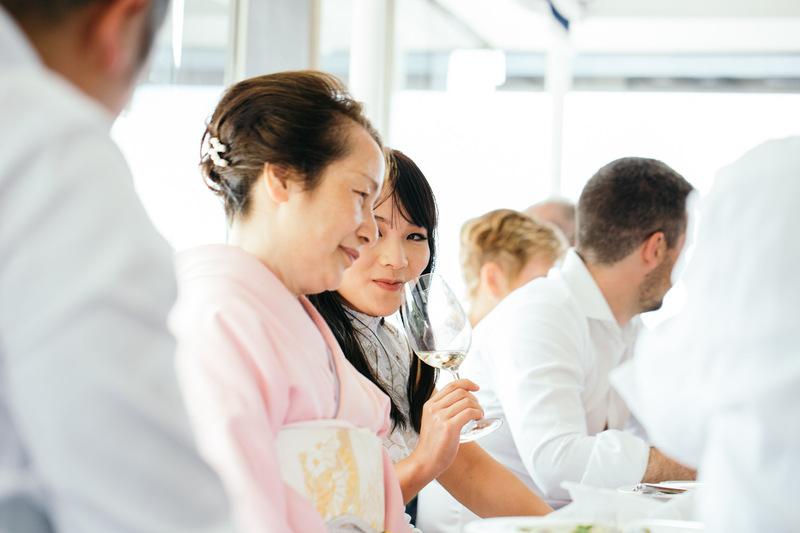 Furthermore, Lisa’s parents reside in Japan, so coordinating a wedding was no easy feat! 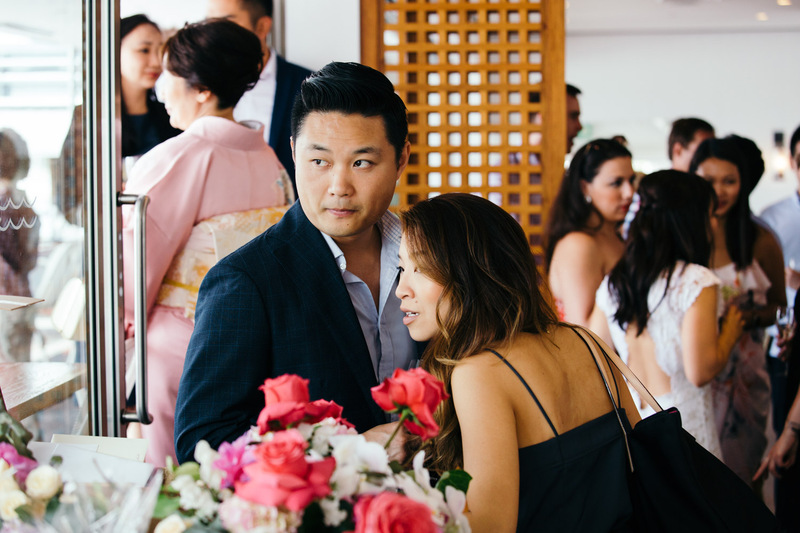 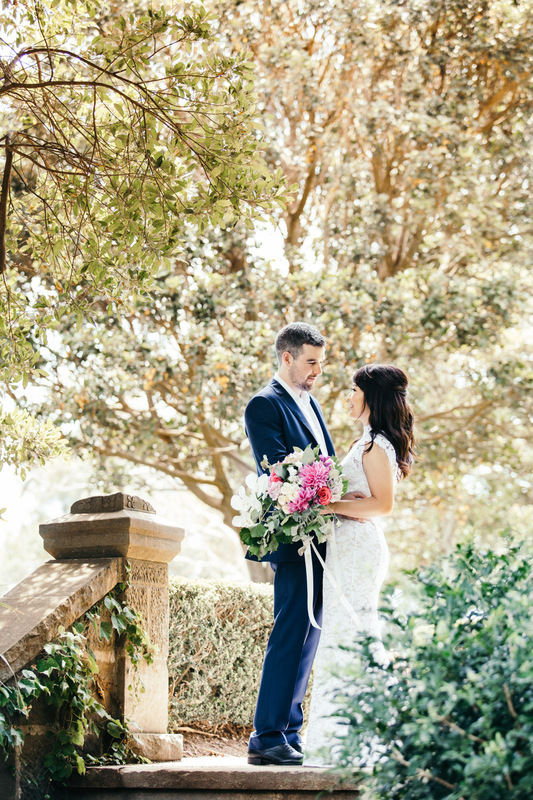 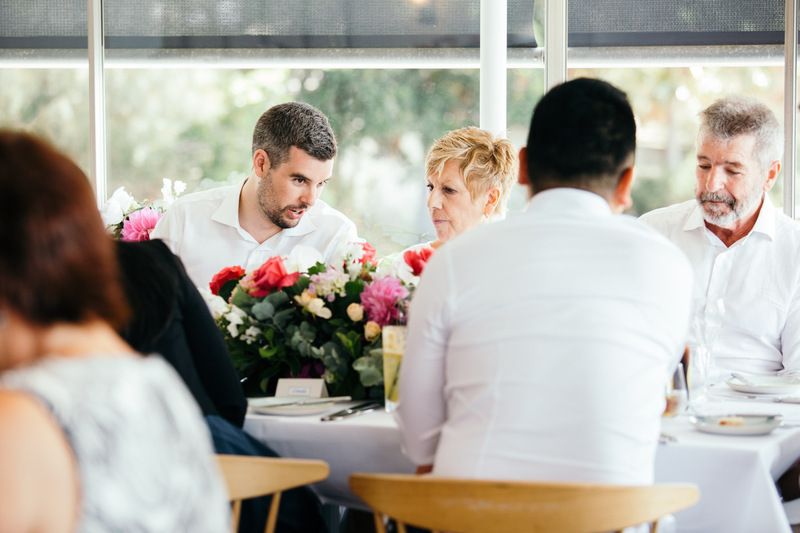 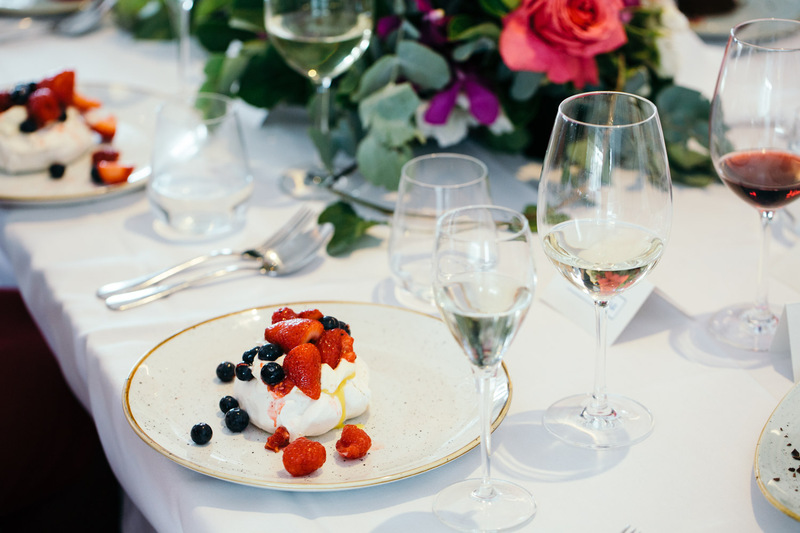 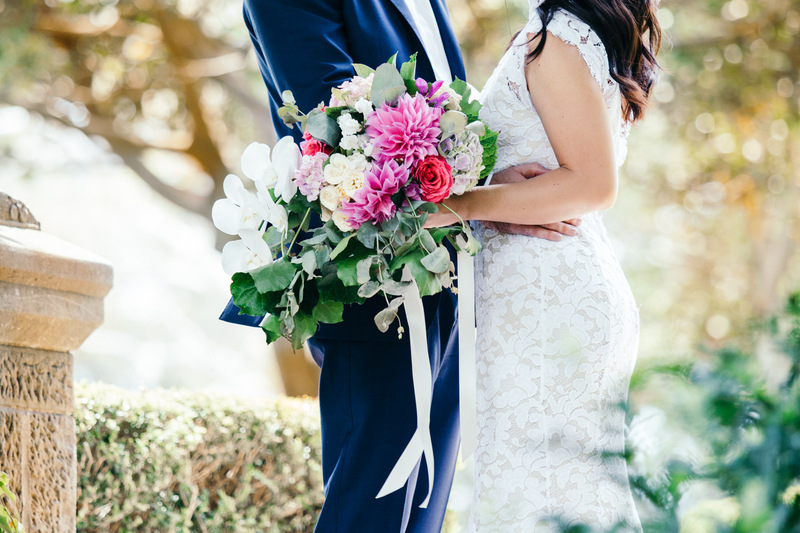 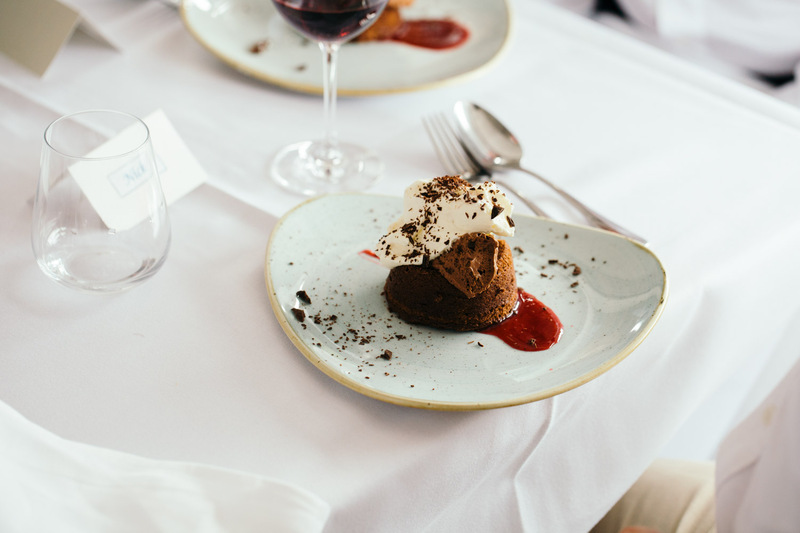 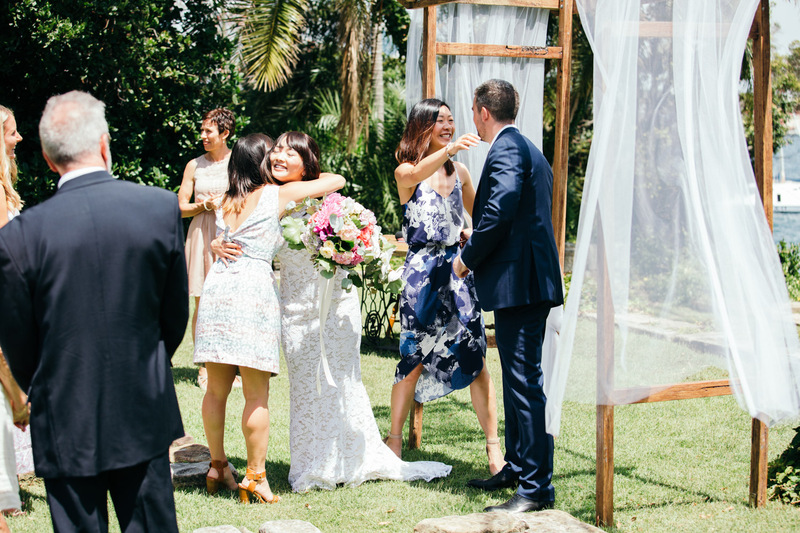 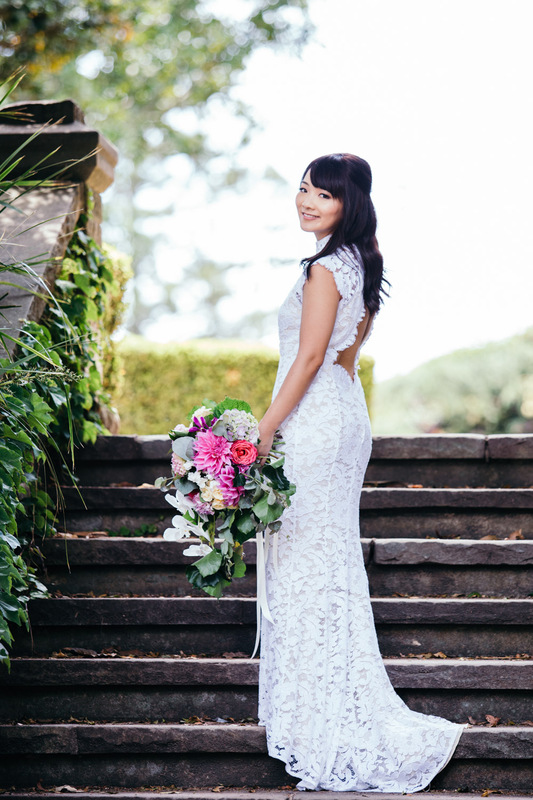 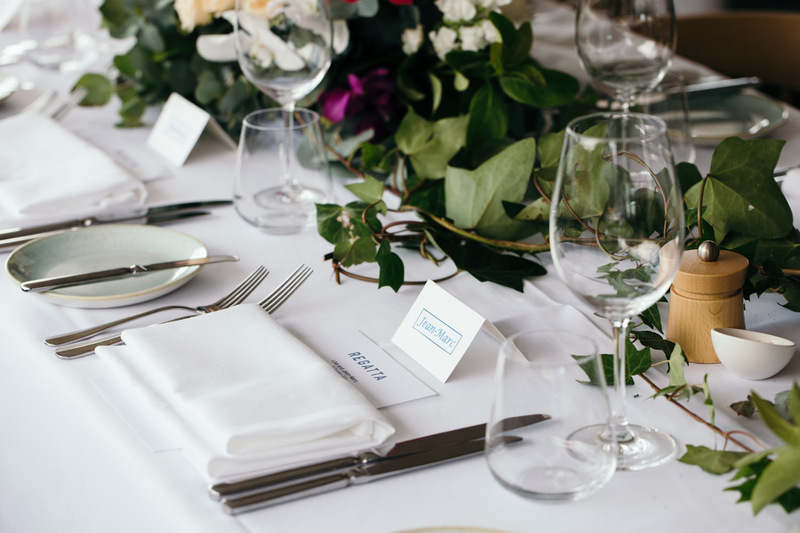 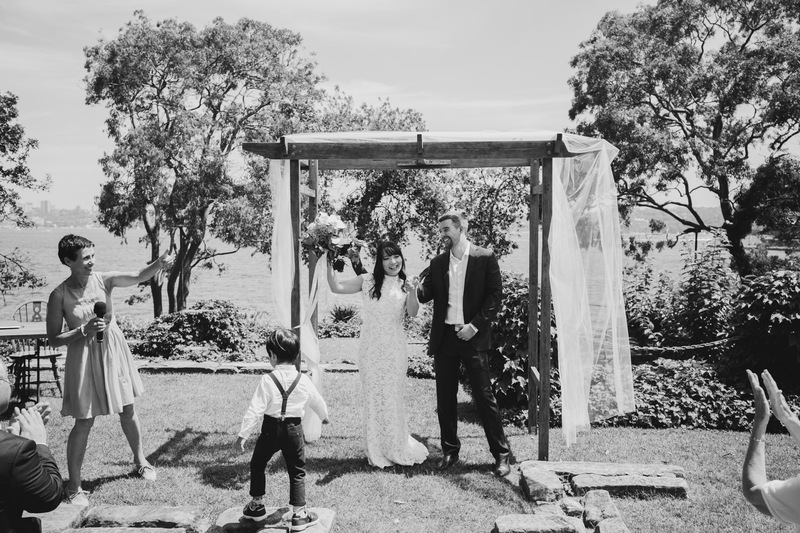 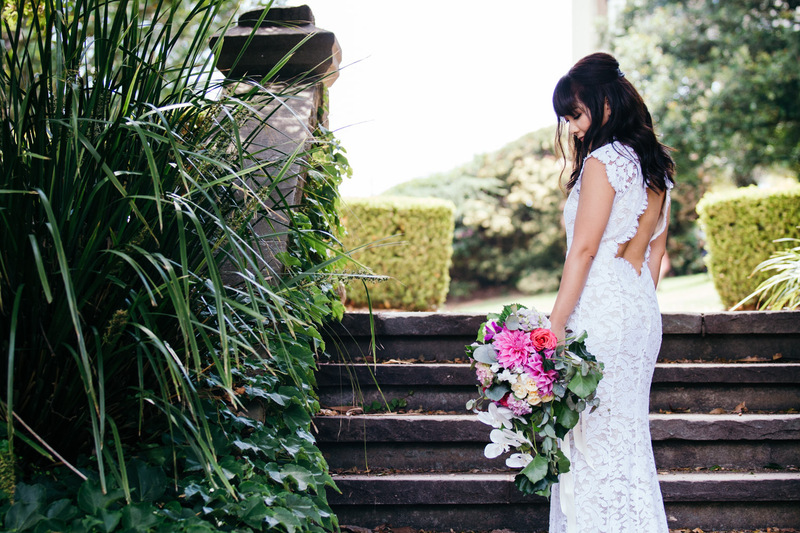 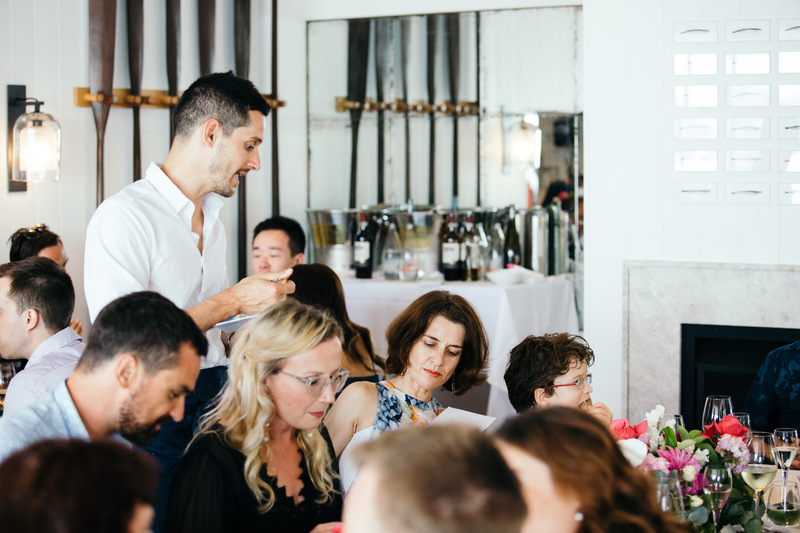 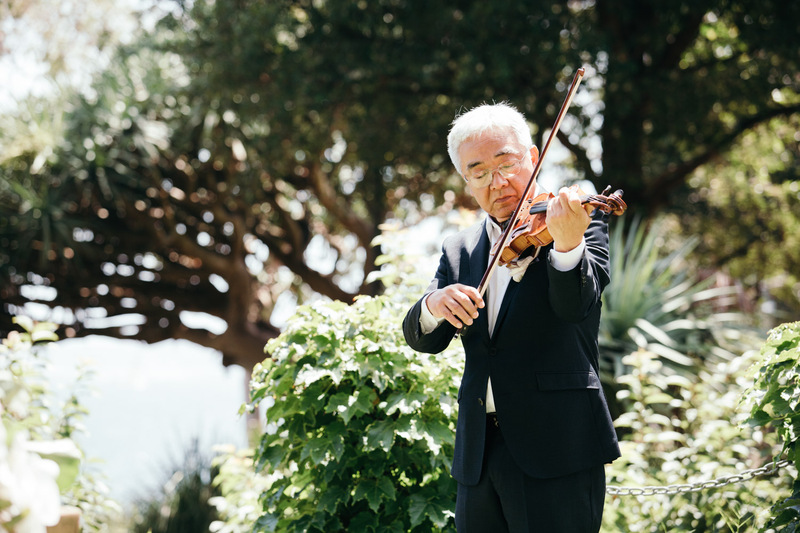 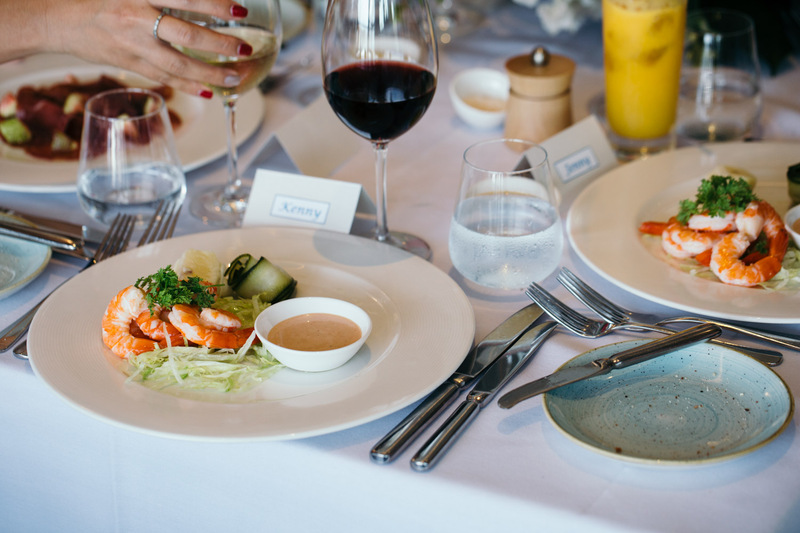 Nonetheless, Lisa and Jean-Marc planned an intimate, beautiful wedding day in Sydney’s eastern suburbs. 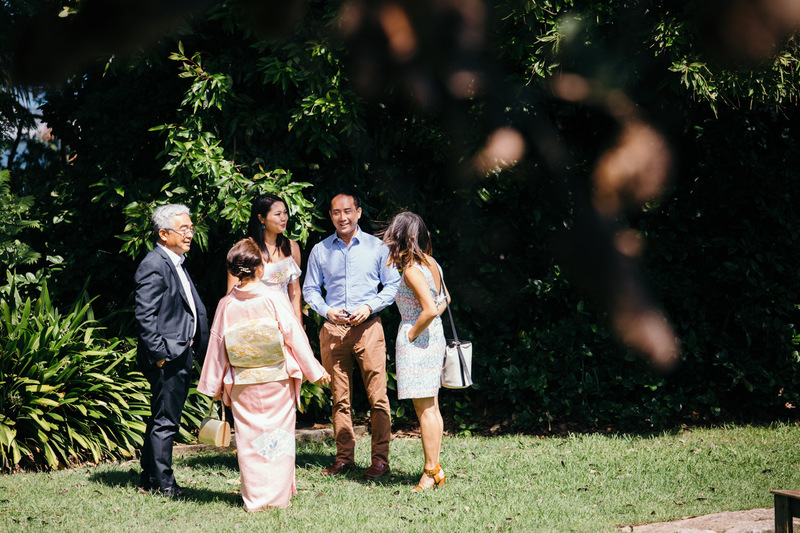 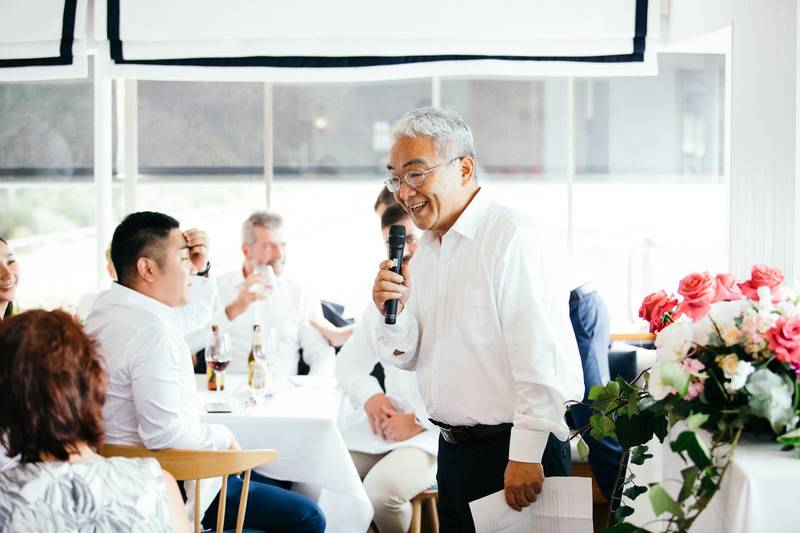 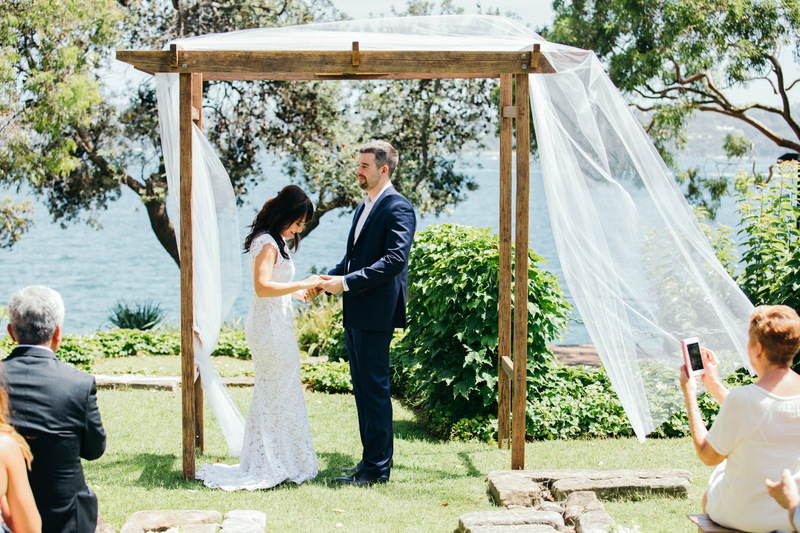 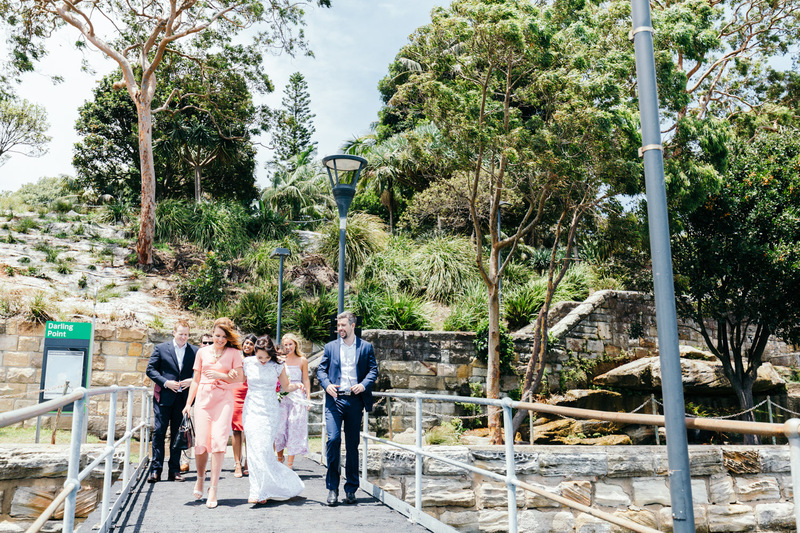 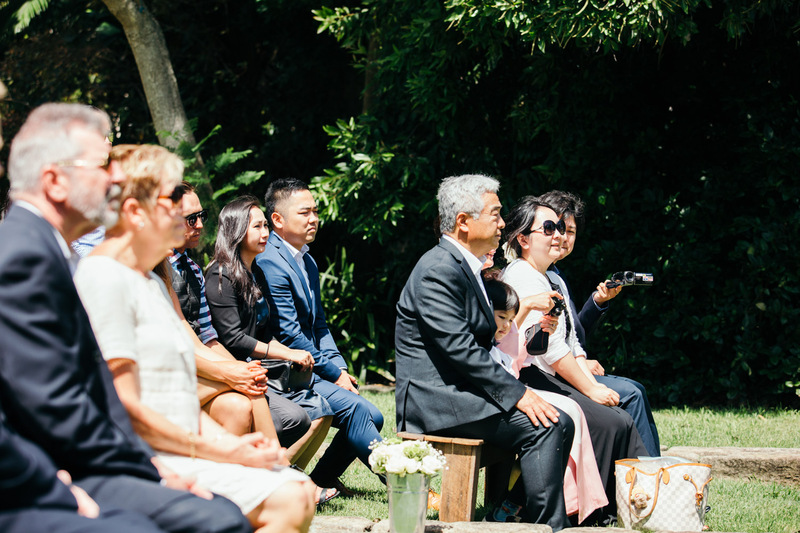 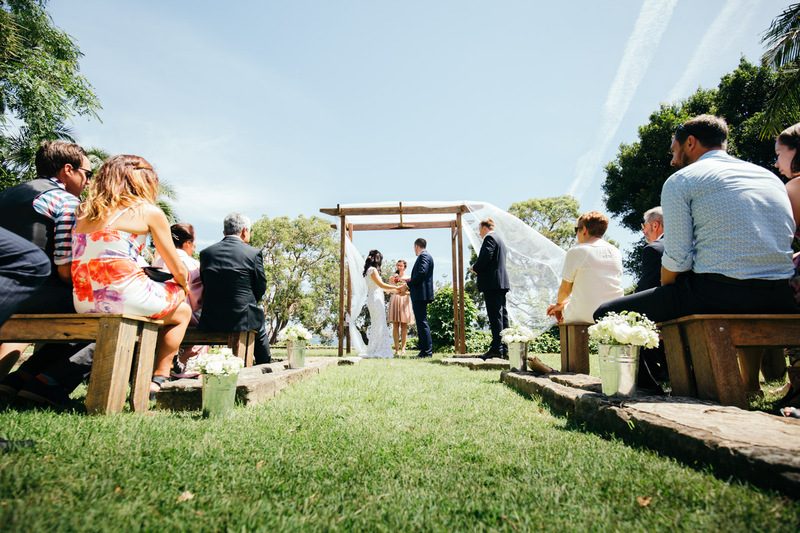 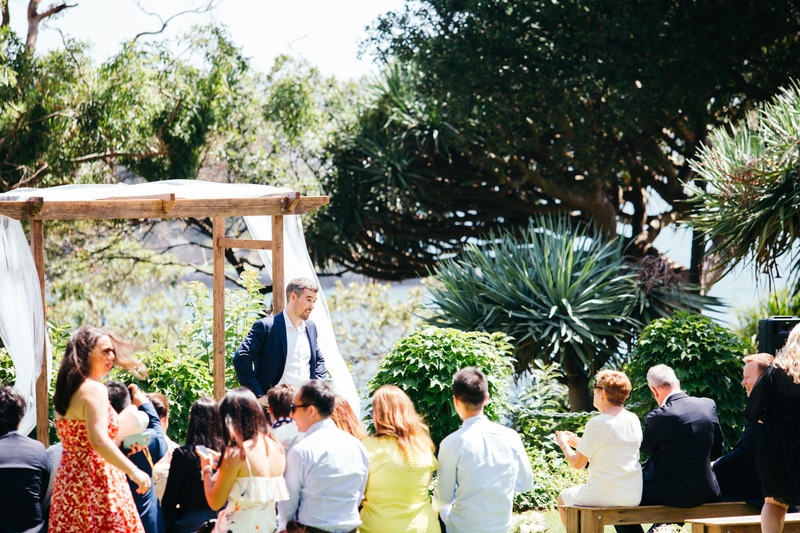 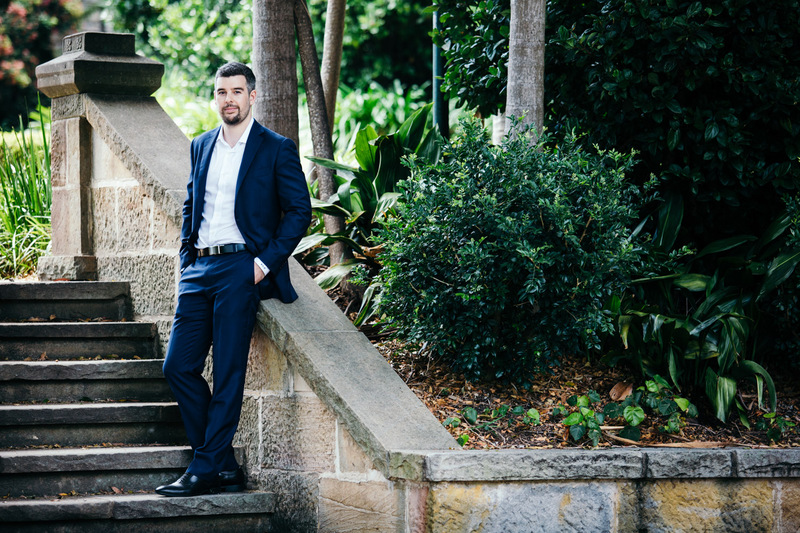 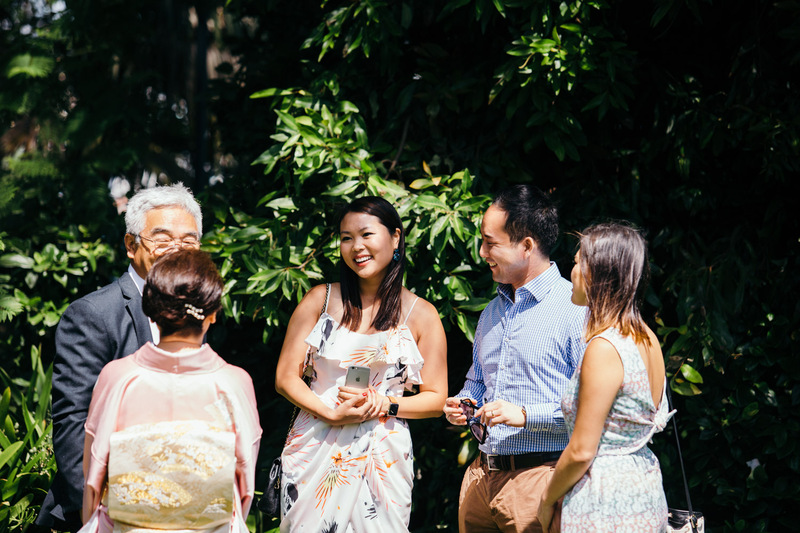 The ceremony was held in the picturesque McKell Park – probably one of my favourite parks on Sydney Harbour (great for picnics and the NYE fireworks). 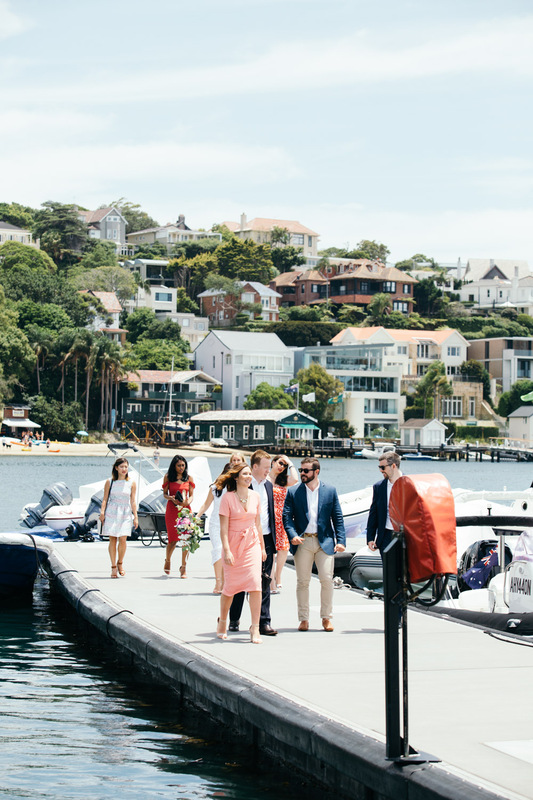 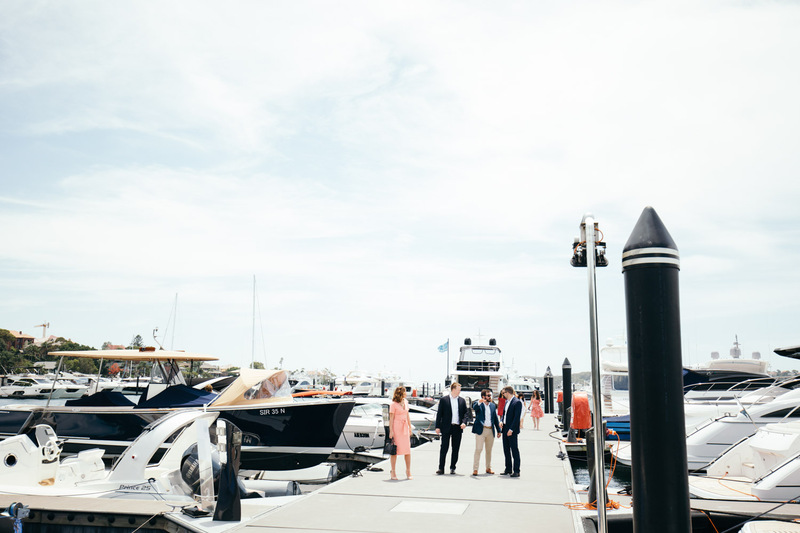 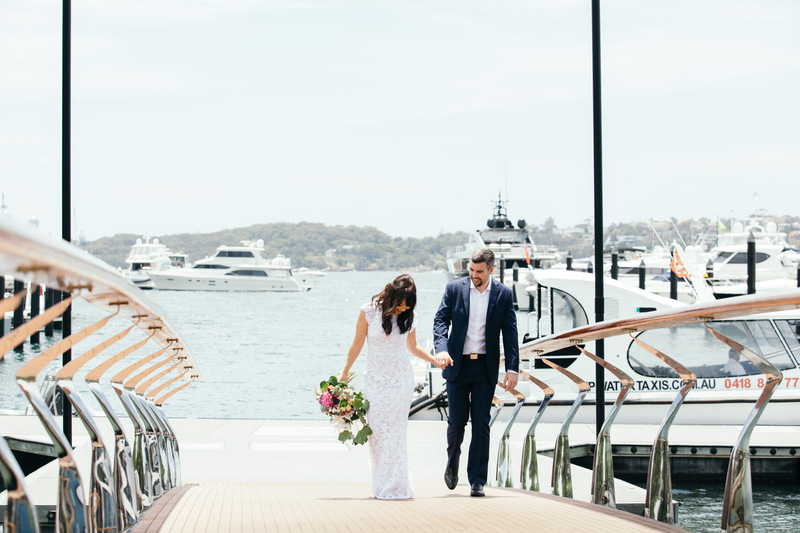 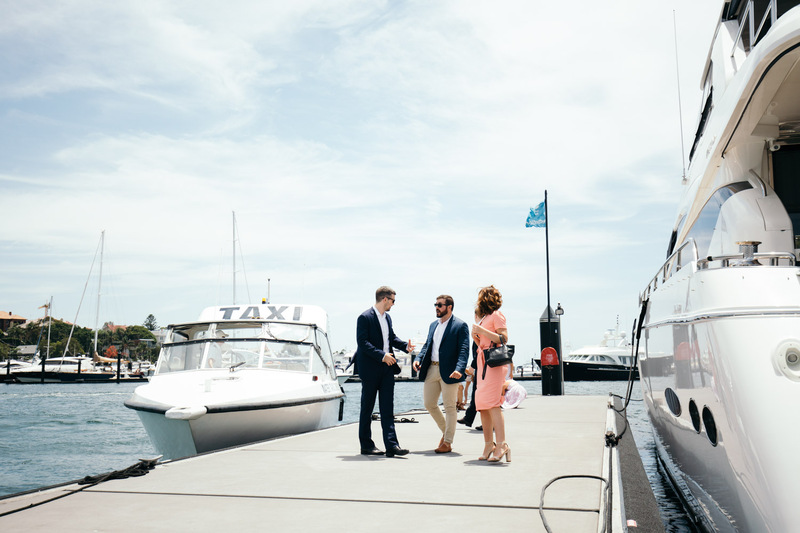 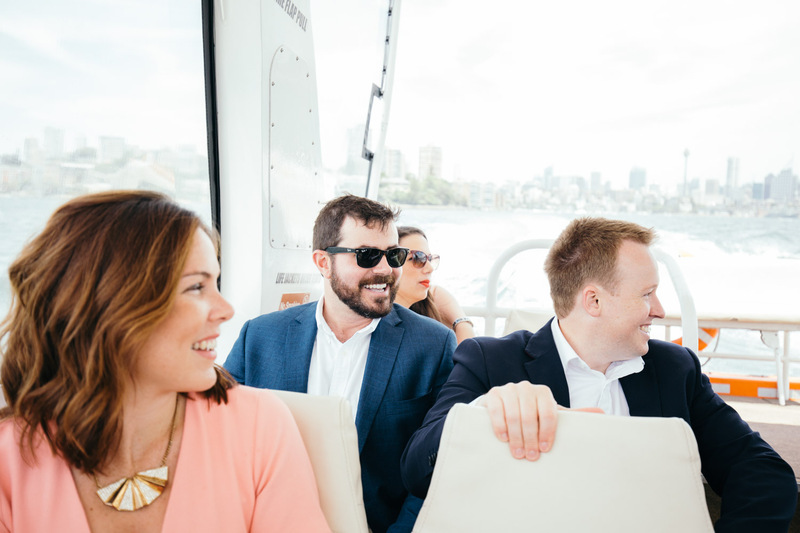 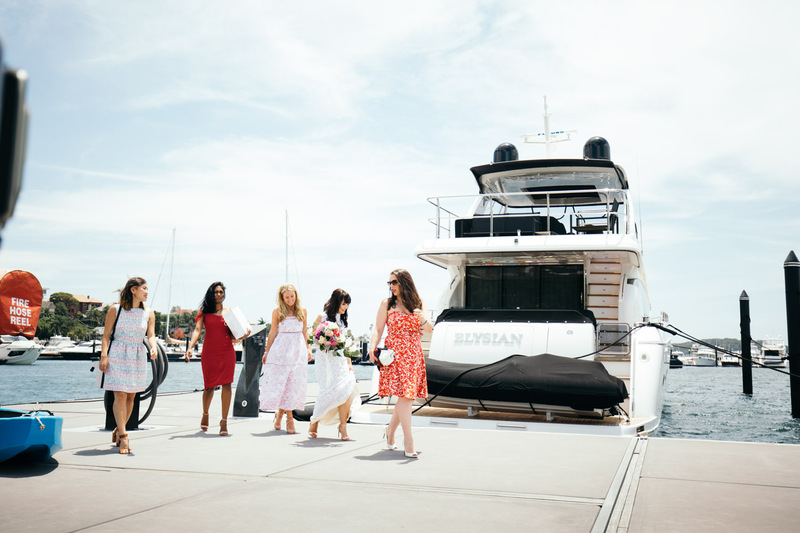 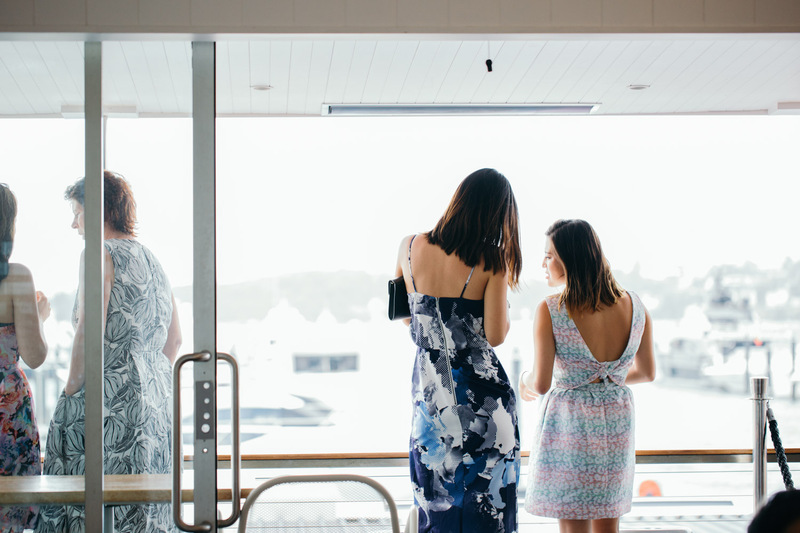 After the ceremony, we captured a few photographs together, and then caught a water taxi around the corner to their Regatta Rose Bay wedding reception. 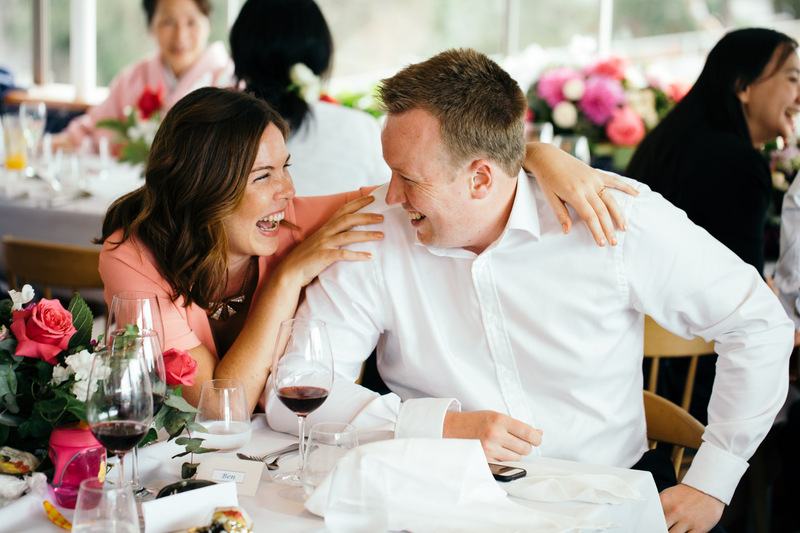 Lisa and Jean-Marc are the type of couple that you want to get to know and become friends with. 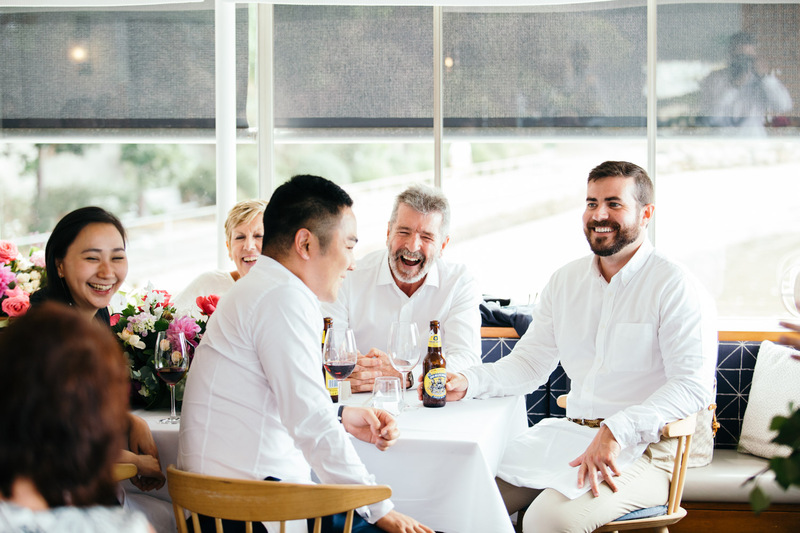 They’re that super friendly couple that you meet for a quick drink and a chat… and then you forget that you’ve been with them for hours! 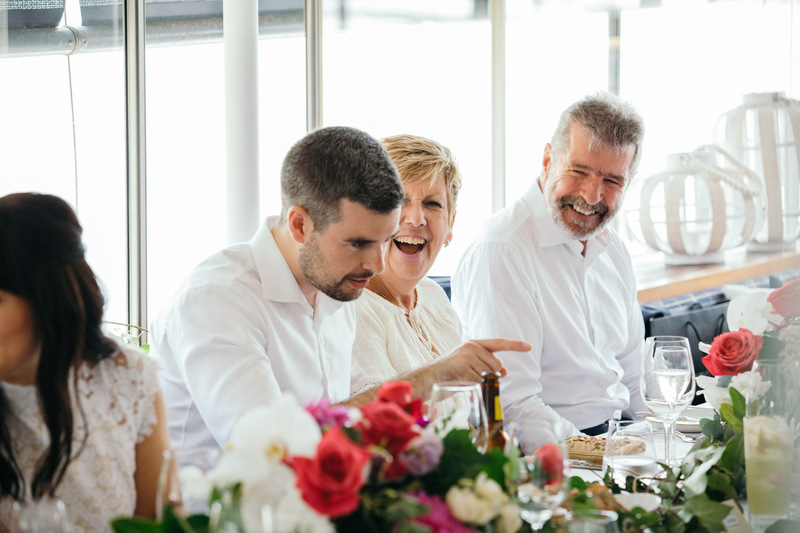 They’re lovely people and great company. 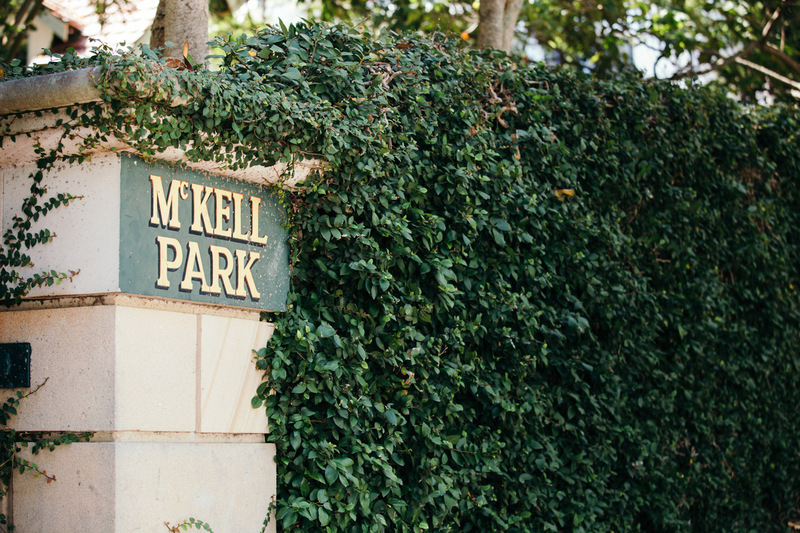 McKell Park is a gorgeous park at the end of Darling Point Road. 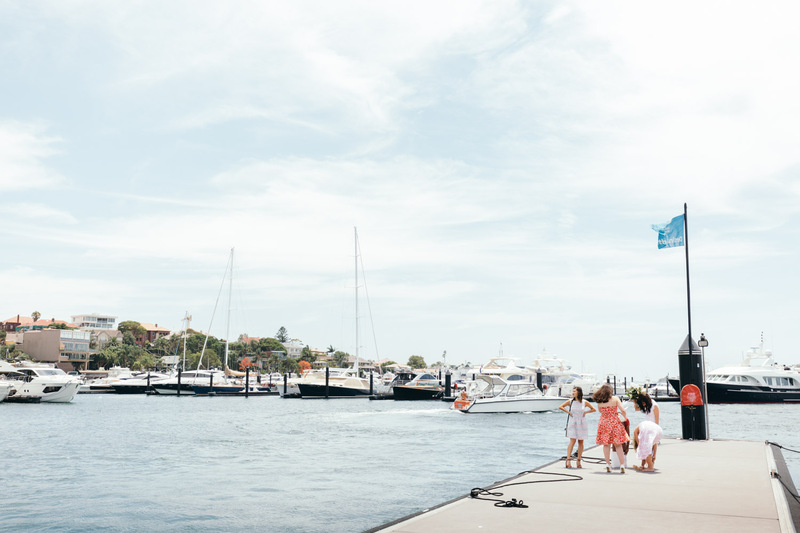 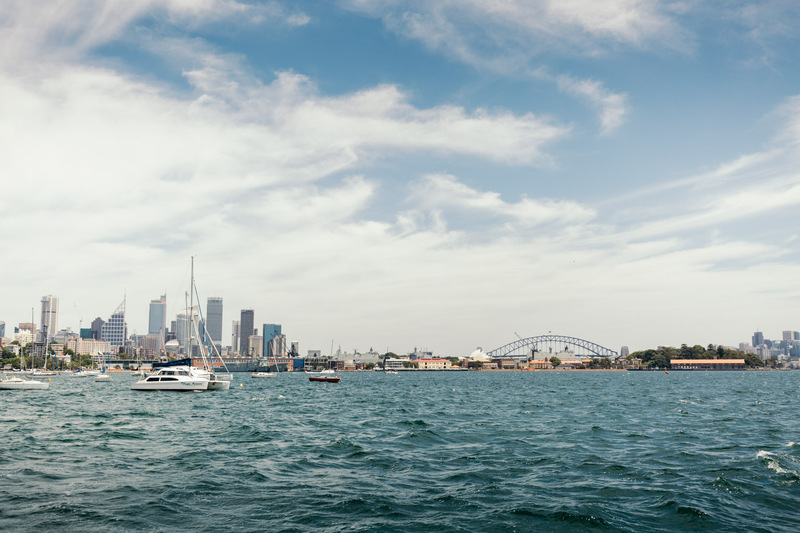 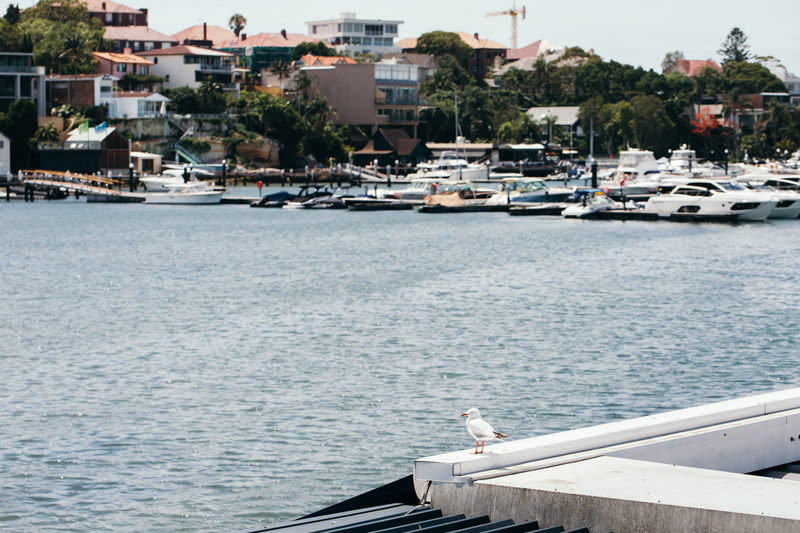 The park has tree-lined, manicured open spaces and walkways that lead to the Darling Point Ferry Wharf. 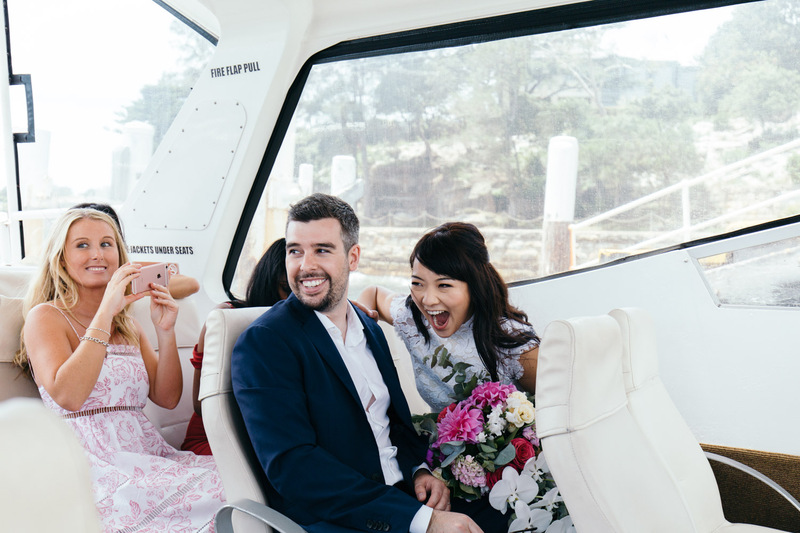 It has bench seating with awesome city views and a really nice staircase that helped to showcase Lisa’s bridal gown. 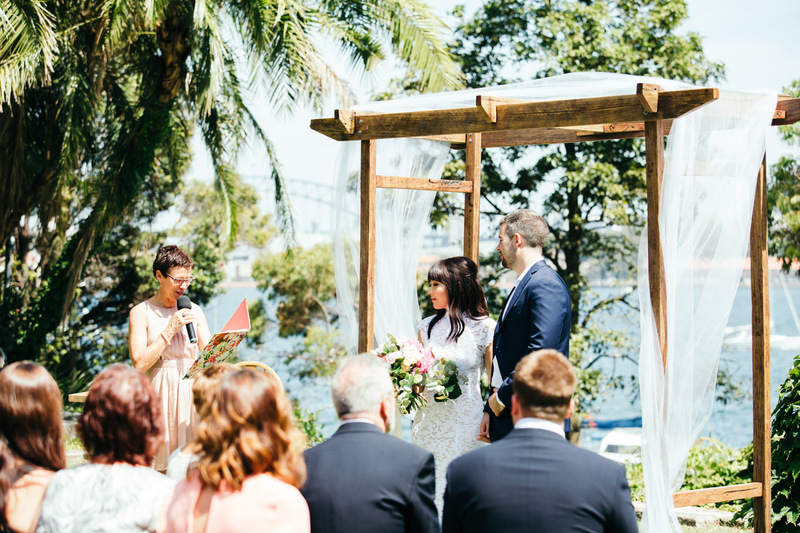 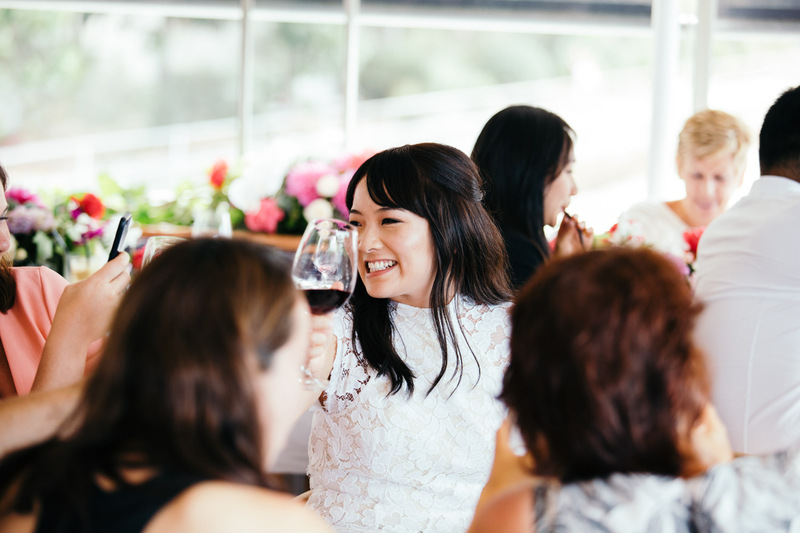 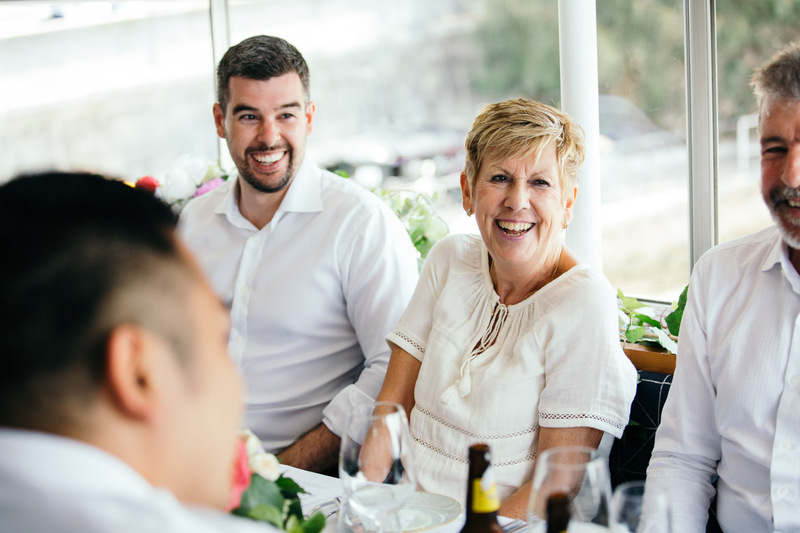 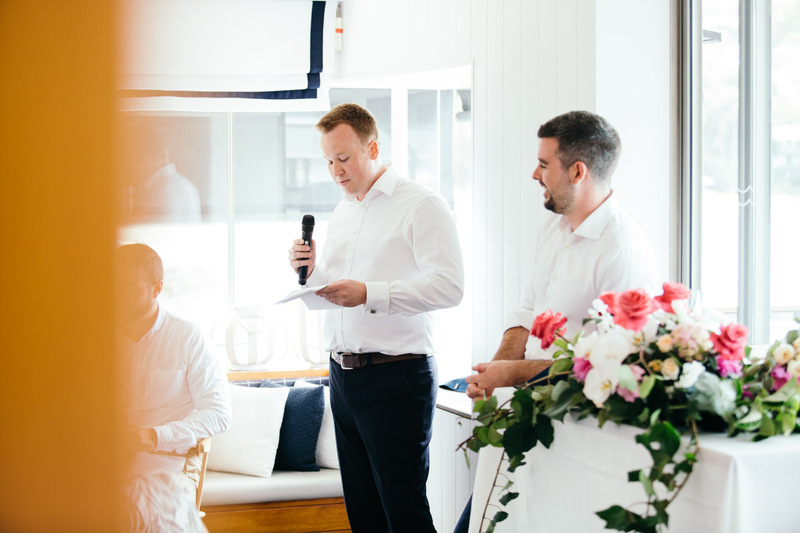 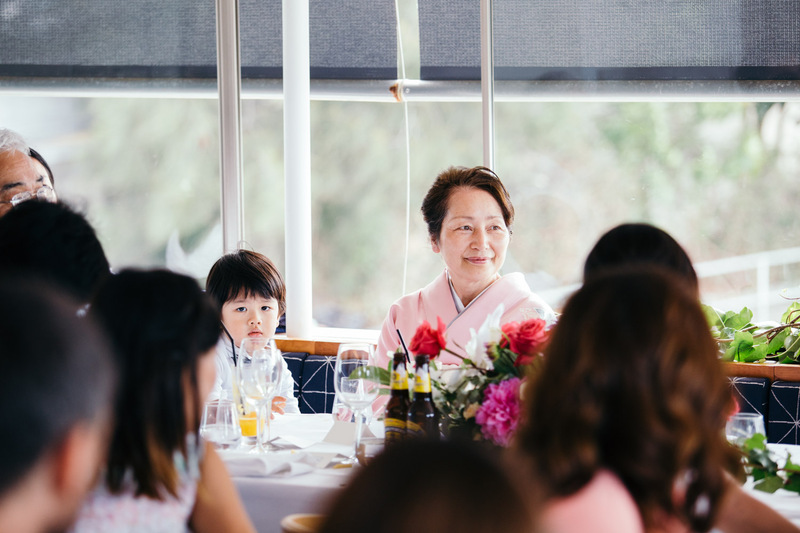 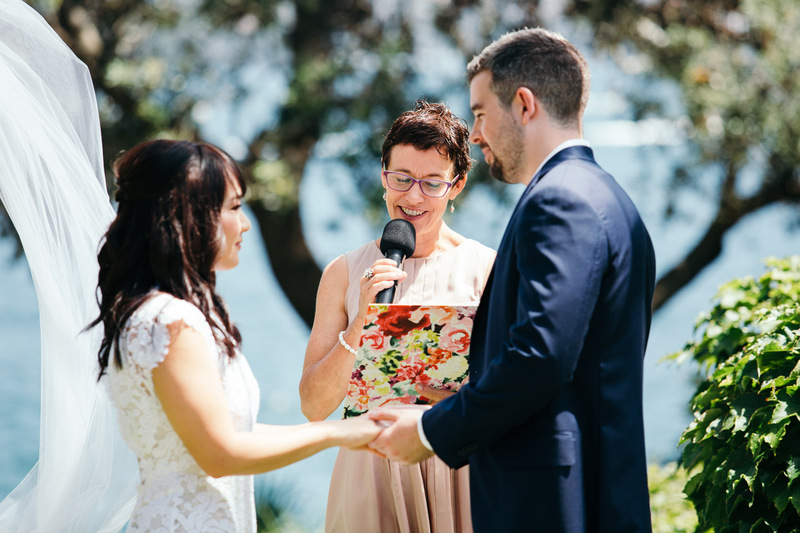 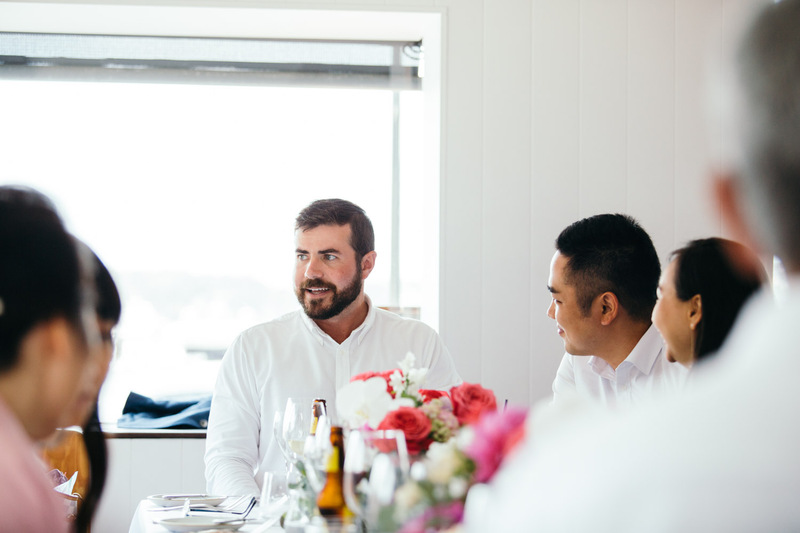 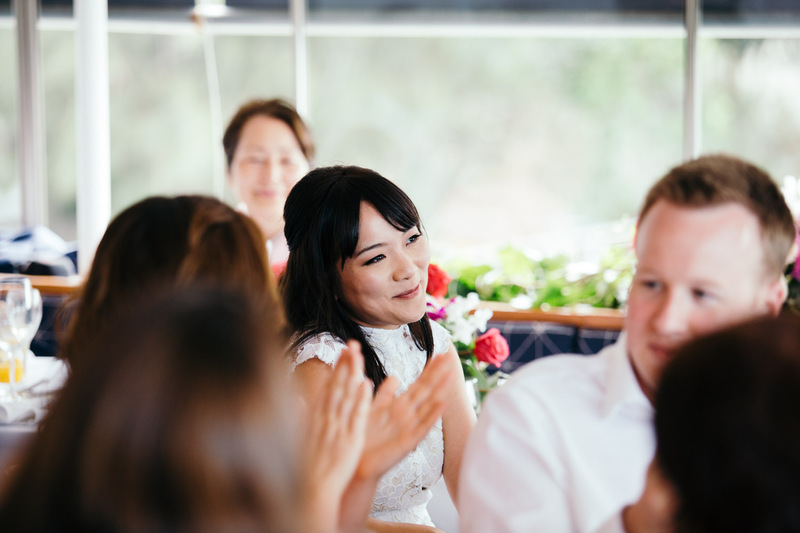 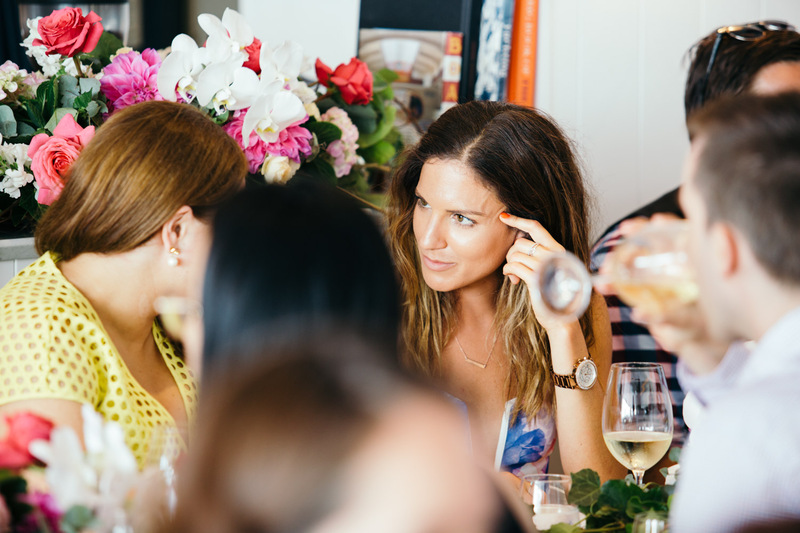 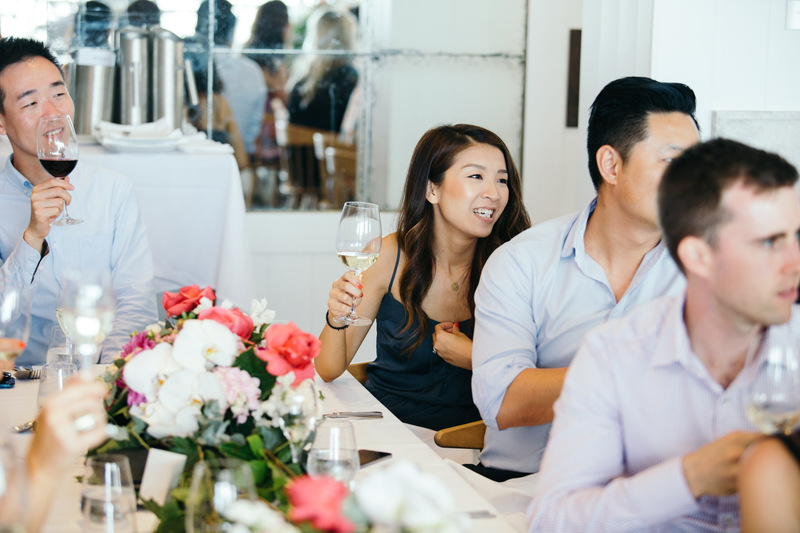 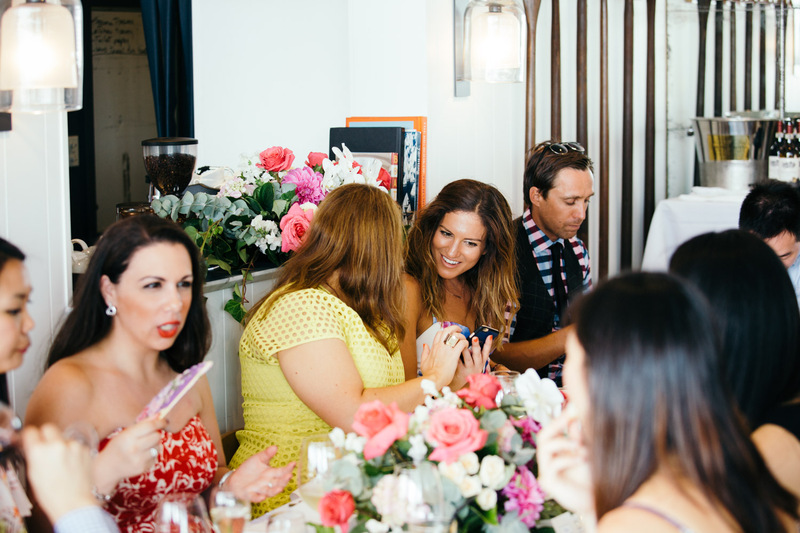 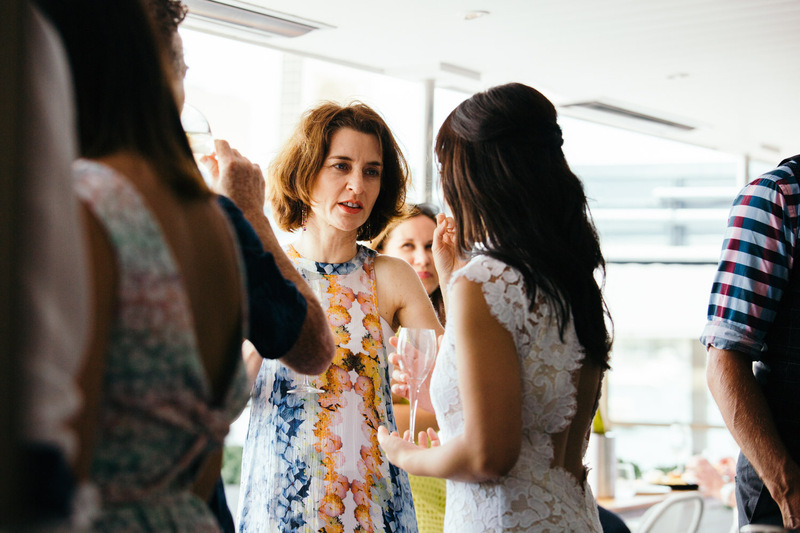 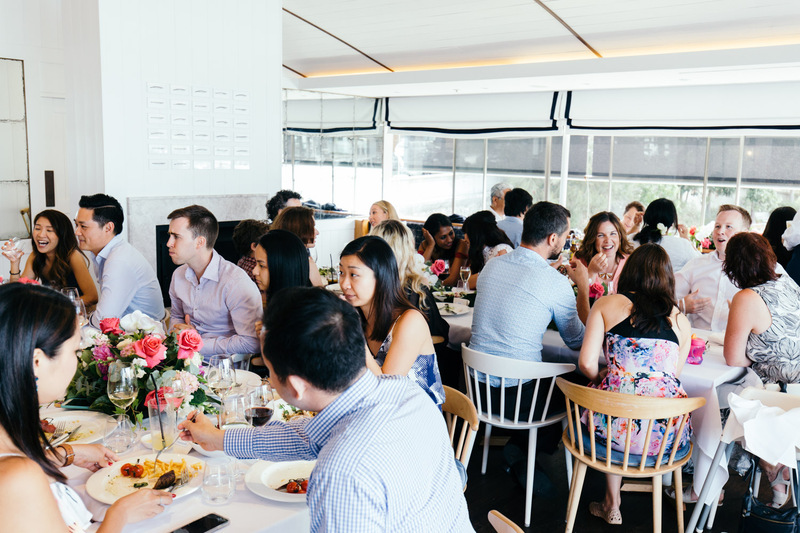 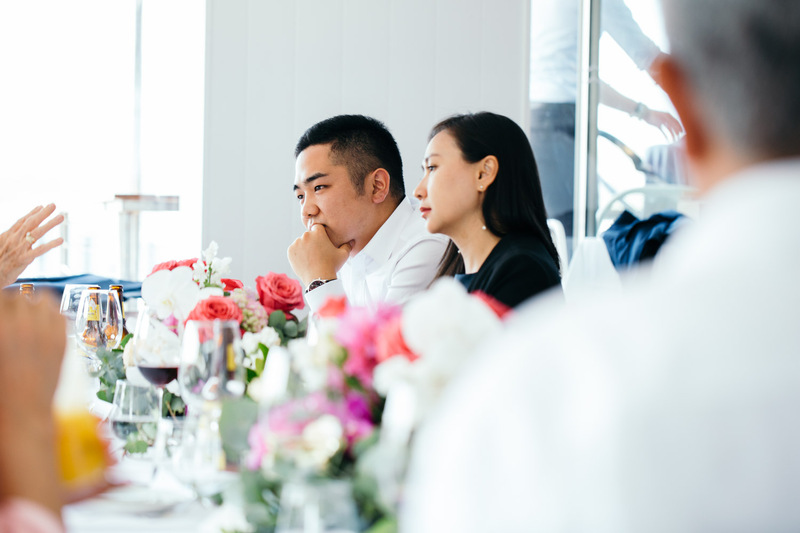 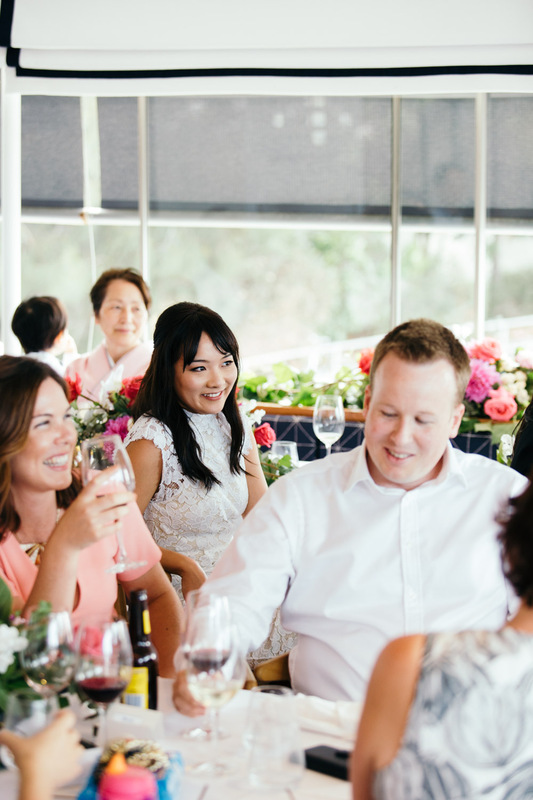 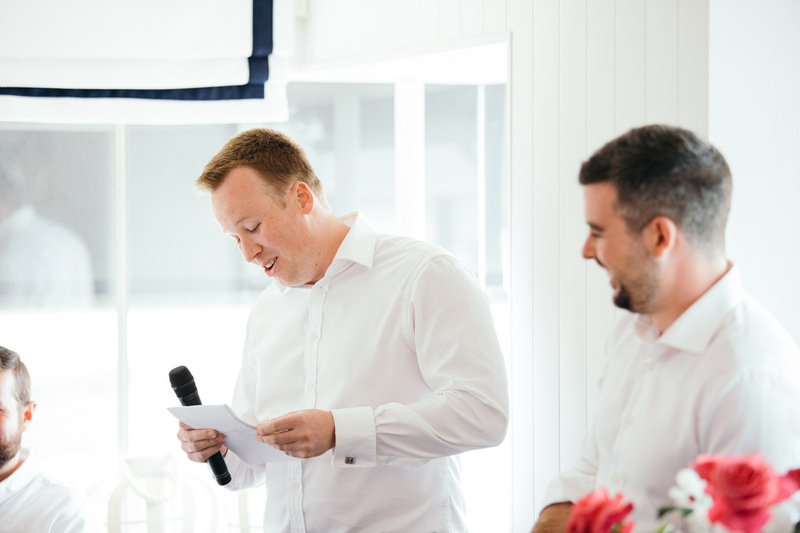 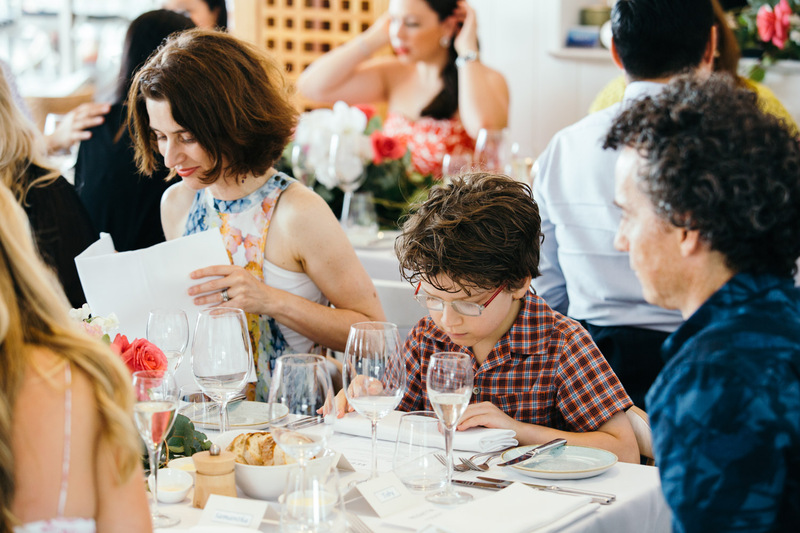 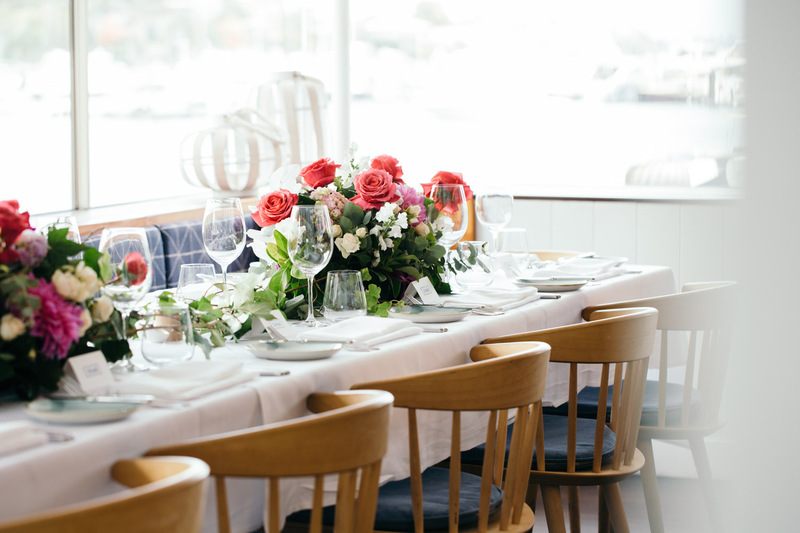 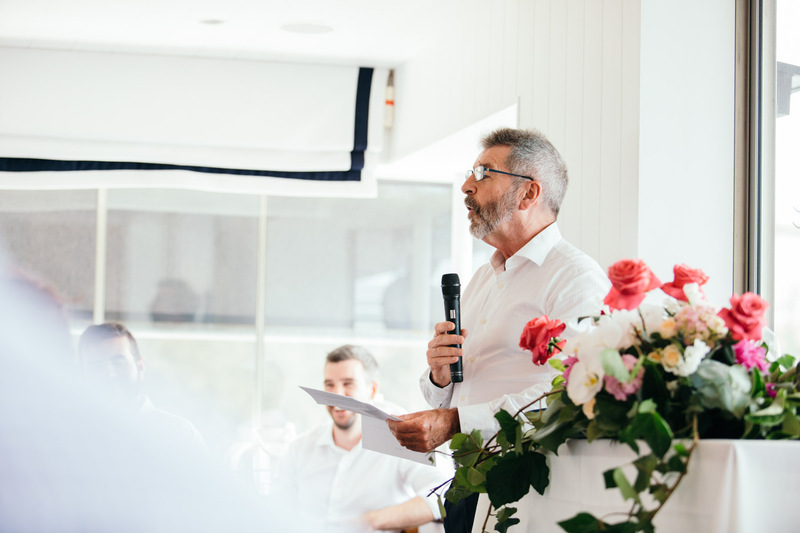 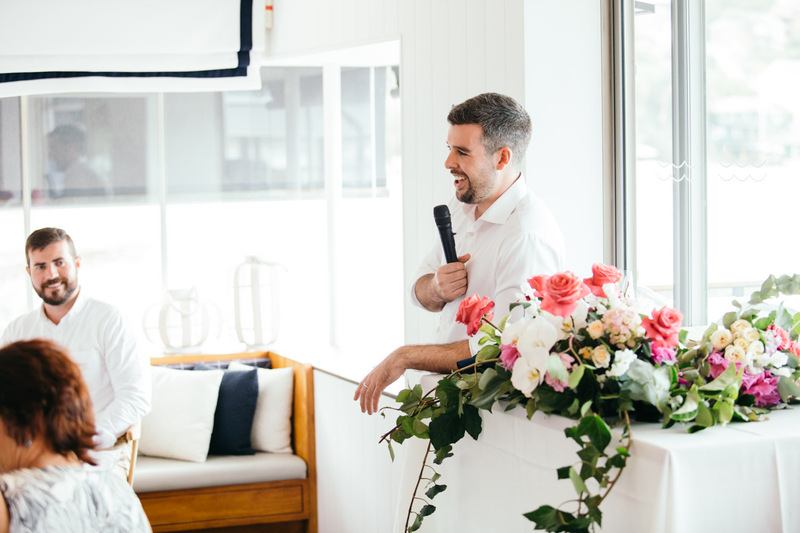 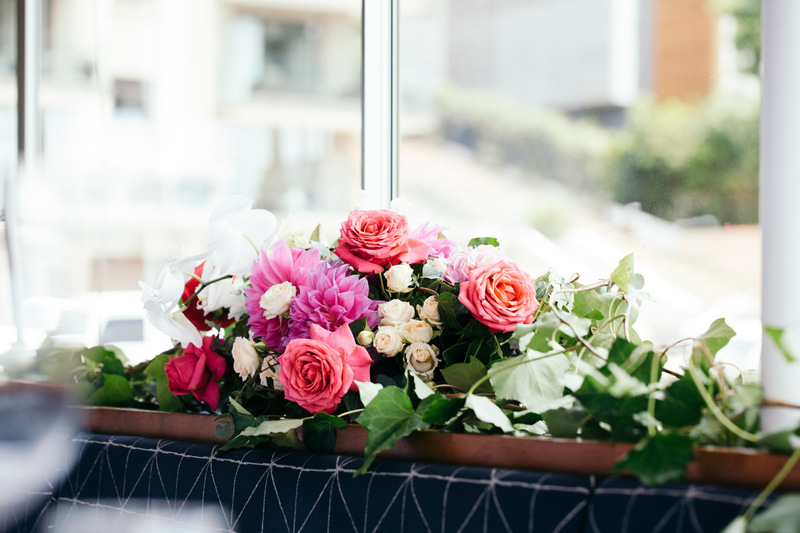 The couple’s Regatta Rose Bay wedding reception was peaceful and relaxing, and complimented the couple’s ceremony. 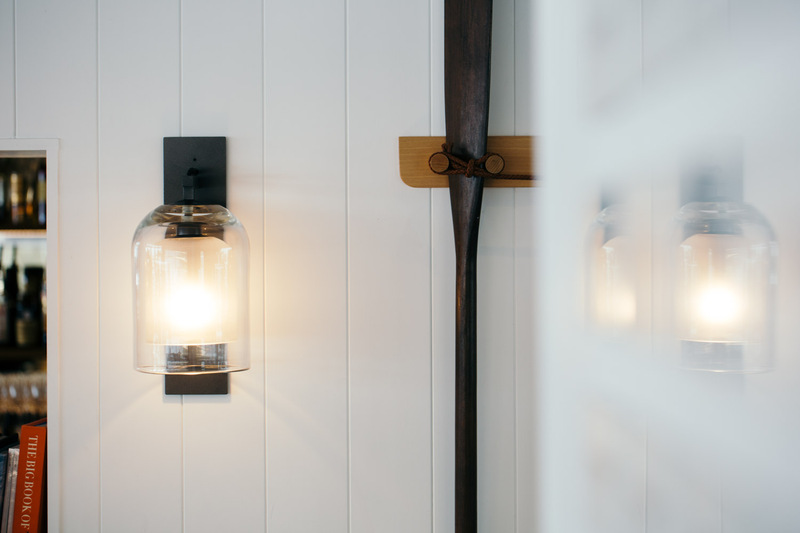 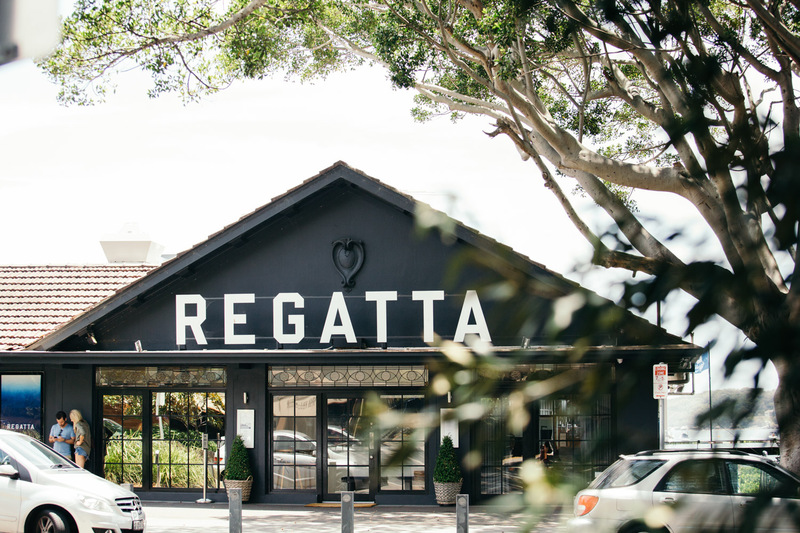 Regatta is nice and bright and screams Eastern Suburbs harbour-side class. 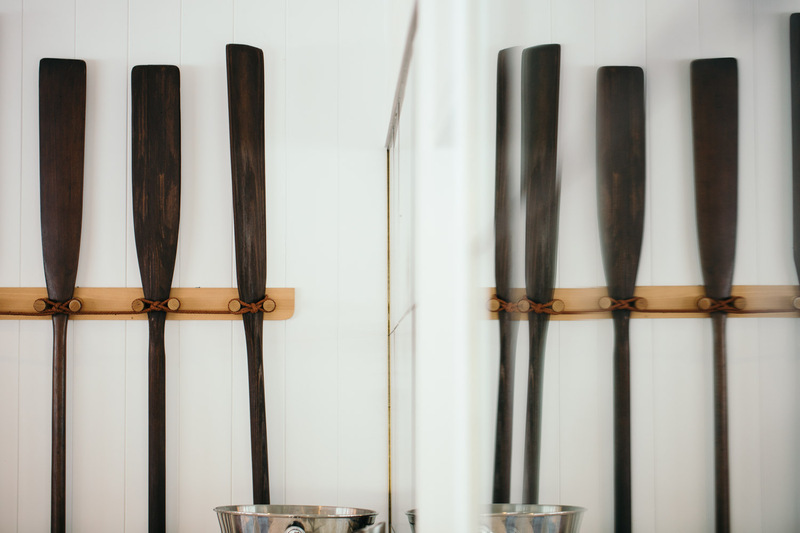 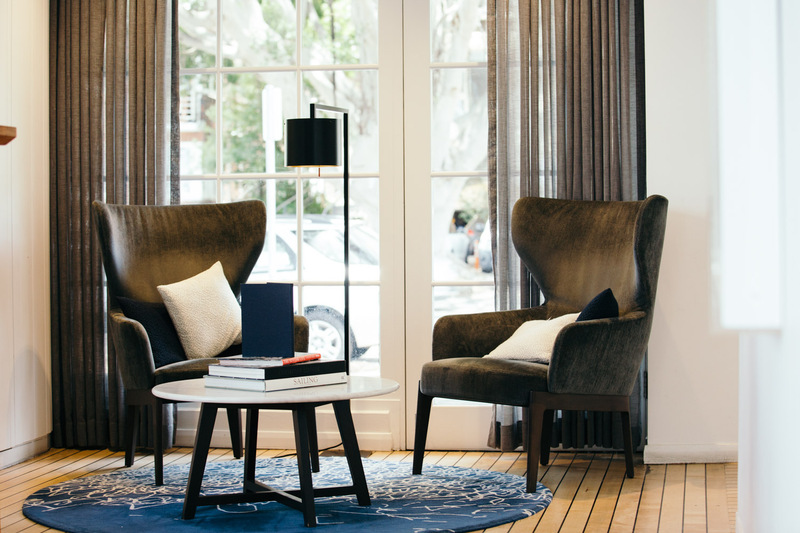 It’s airy, yet intimate. 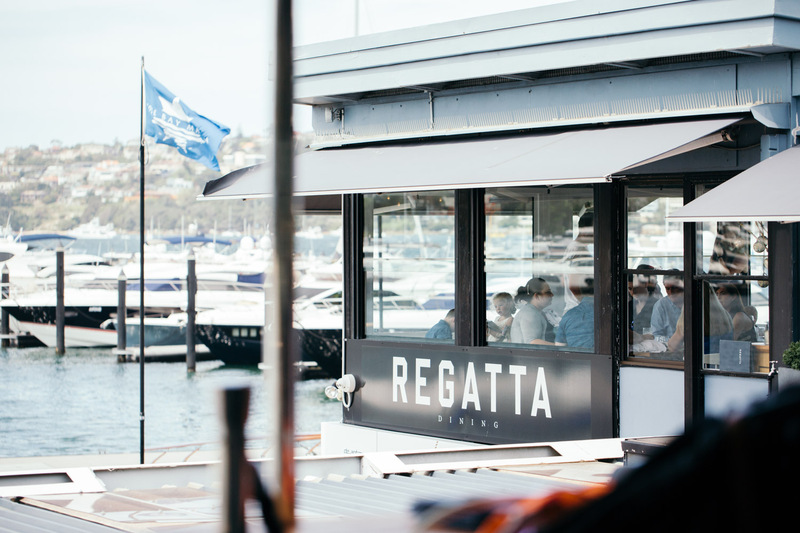 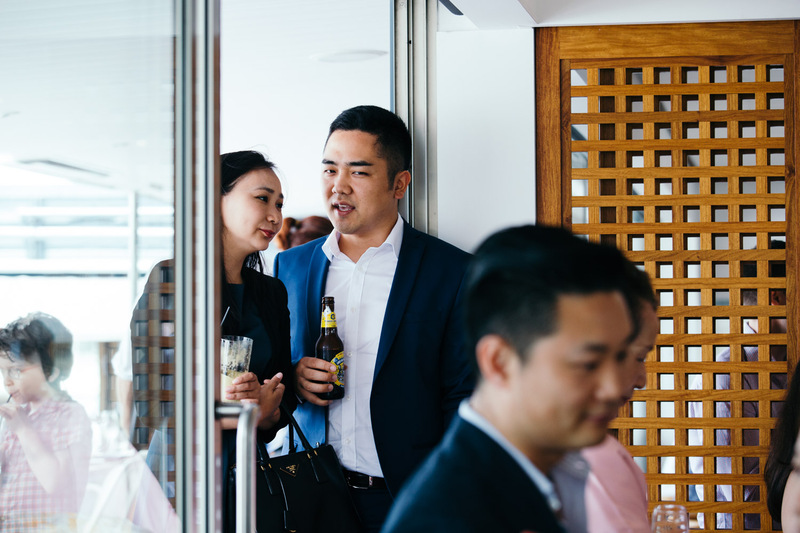 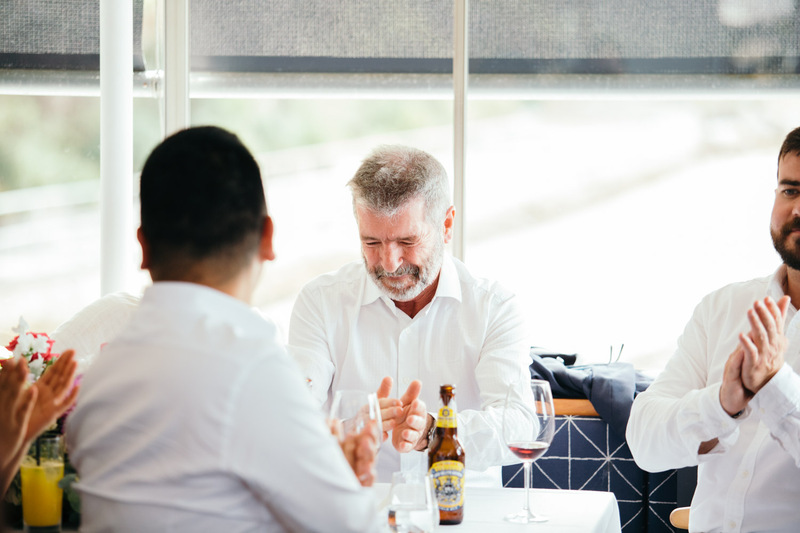 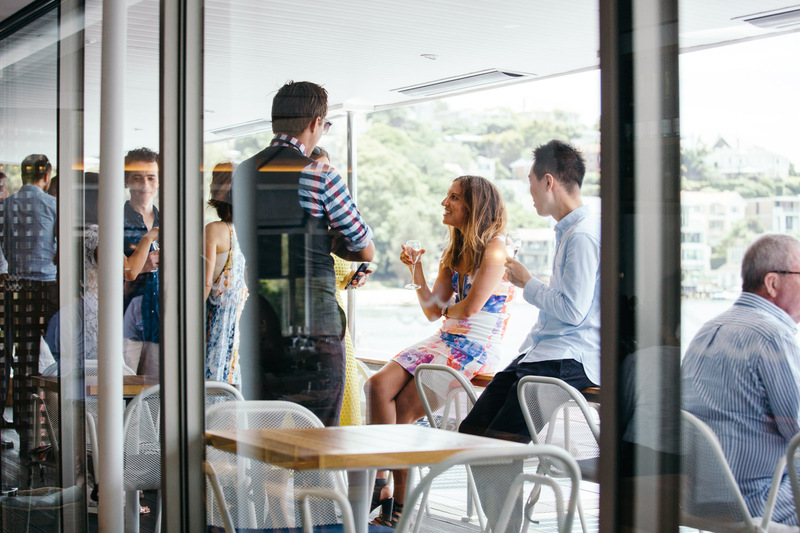 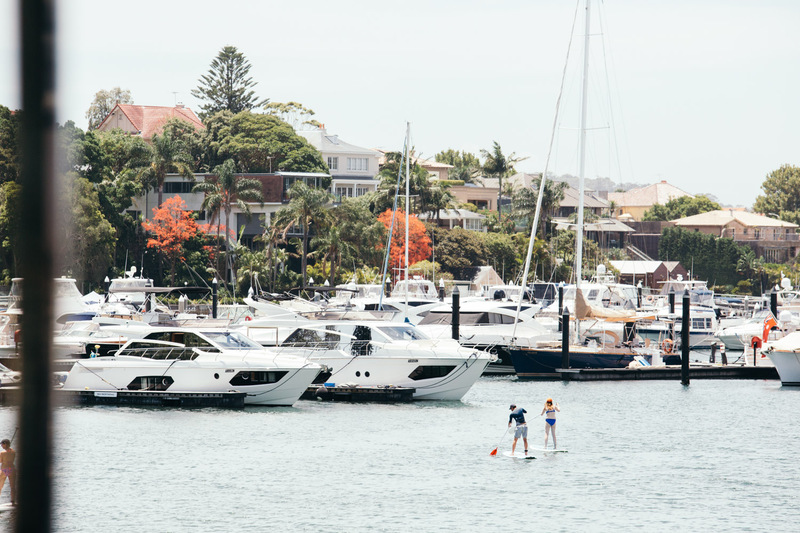 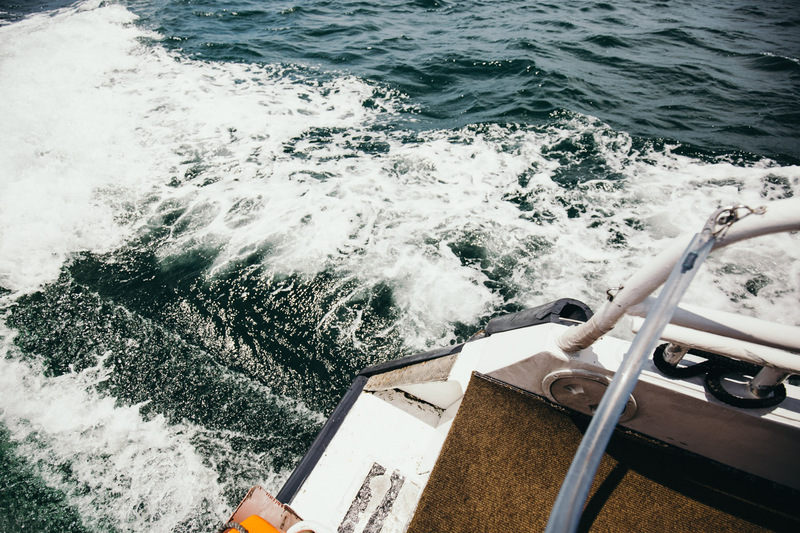 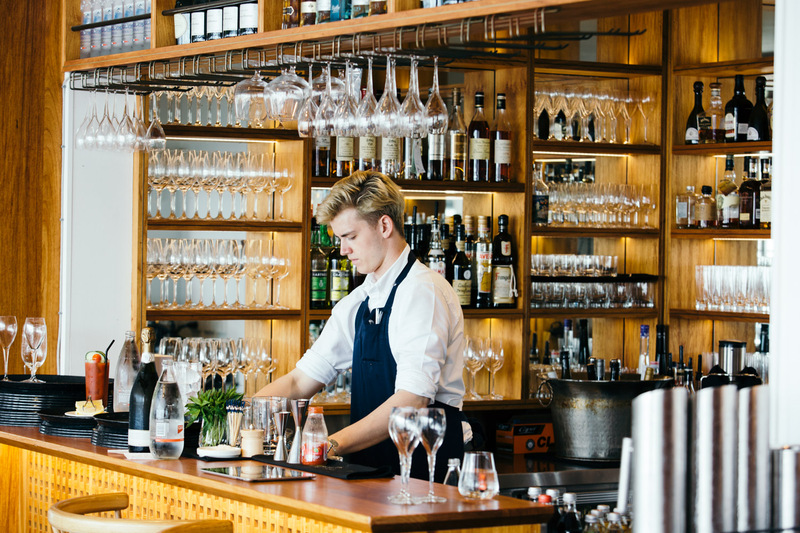 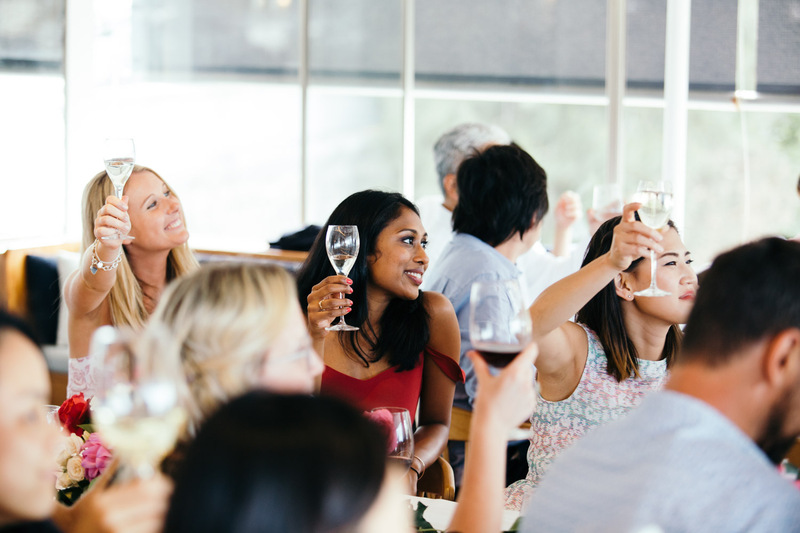 Regatta has a marina dockside location – we literally moored up to the side of the venue and were inside sipping G&T’s within 60 seconds. 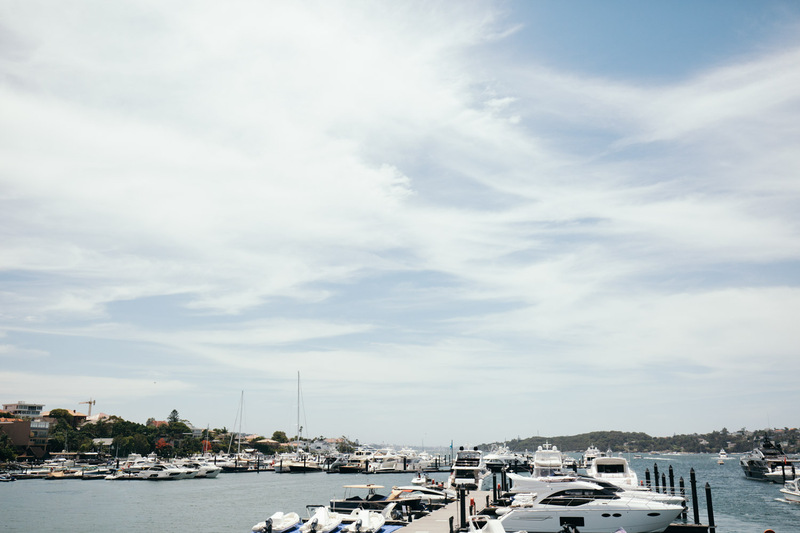 I suppose that we could have caught a Seaplane, but as it was a beautiful day on the harbour I think that a boat was the better choice. 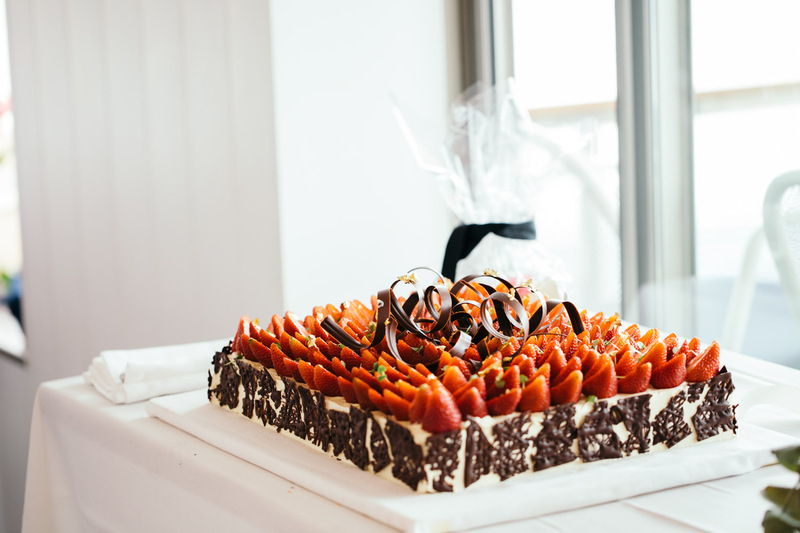 Lisa and Jean-Marc shared some kind words about each other in front of family and friends, and then they cut the cake. 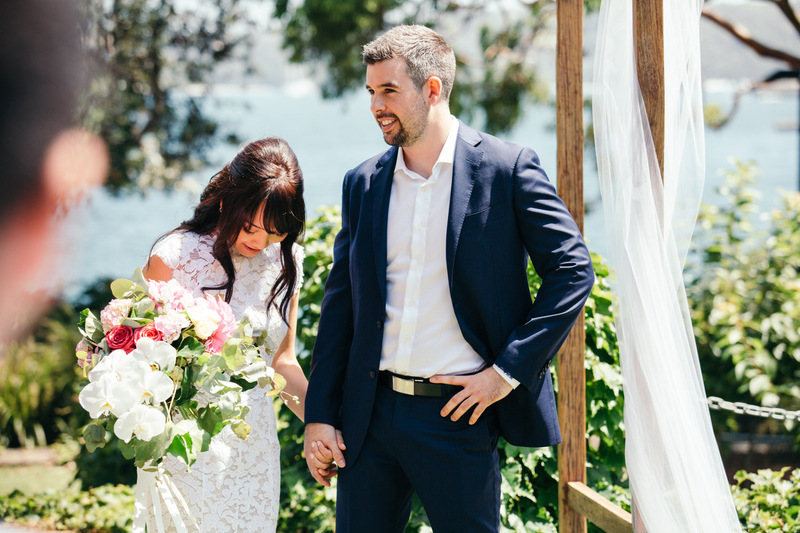 An outstanding day for a fantastic couple.